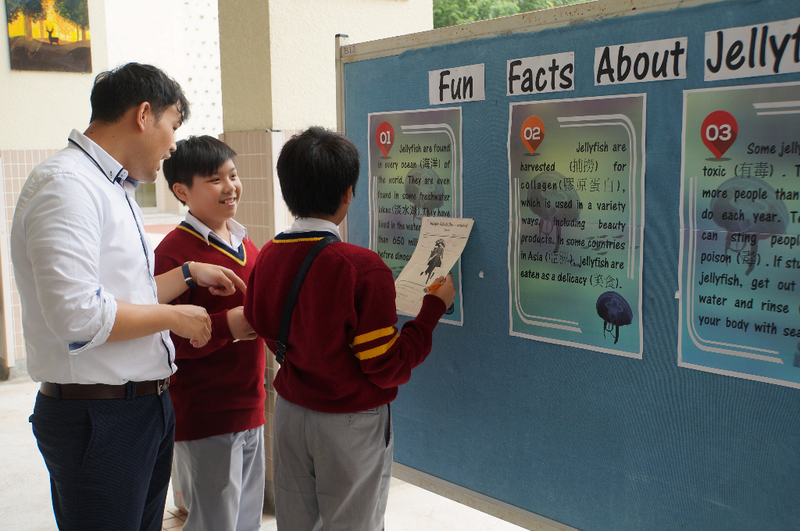 Reading is an important pathway of learning, knowledge, imagination and creativity. 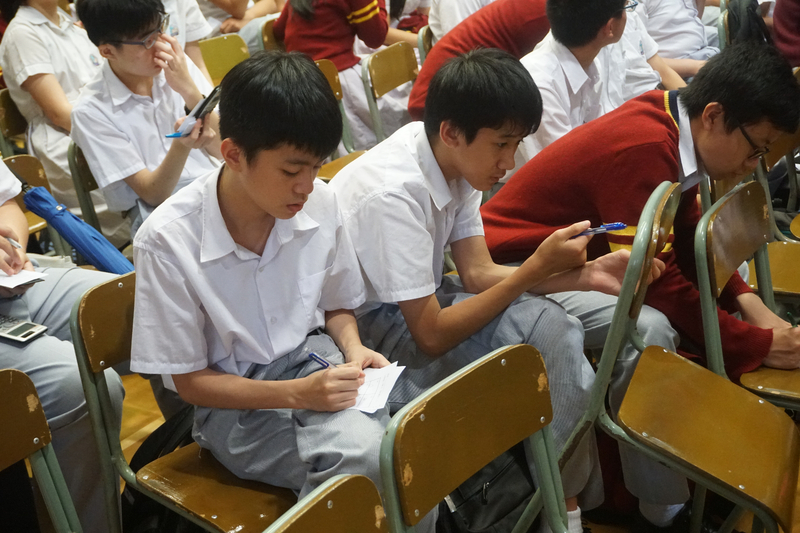 Junior form students have the wonderful opportunity to participate in our English Online-Reading programme. 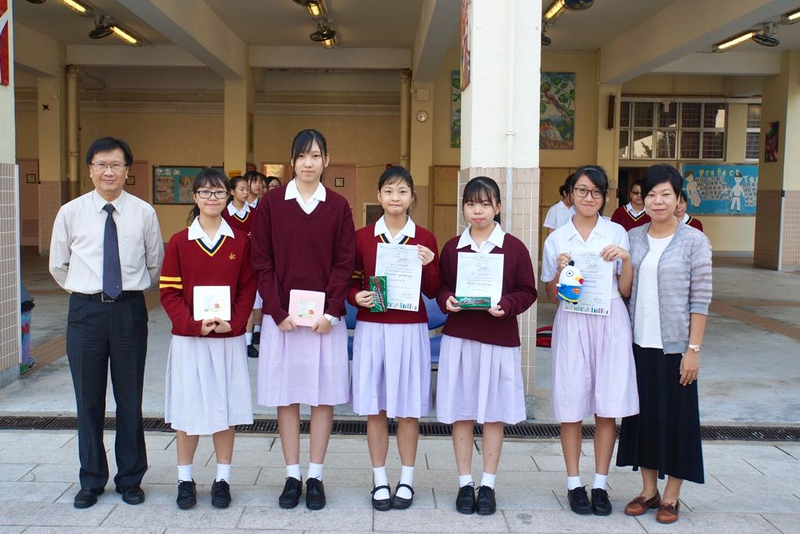 Awards are given to students who have met the reading target of 1 book every week. 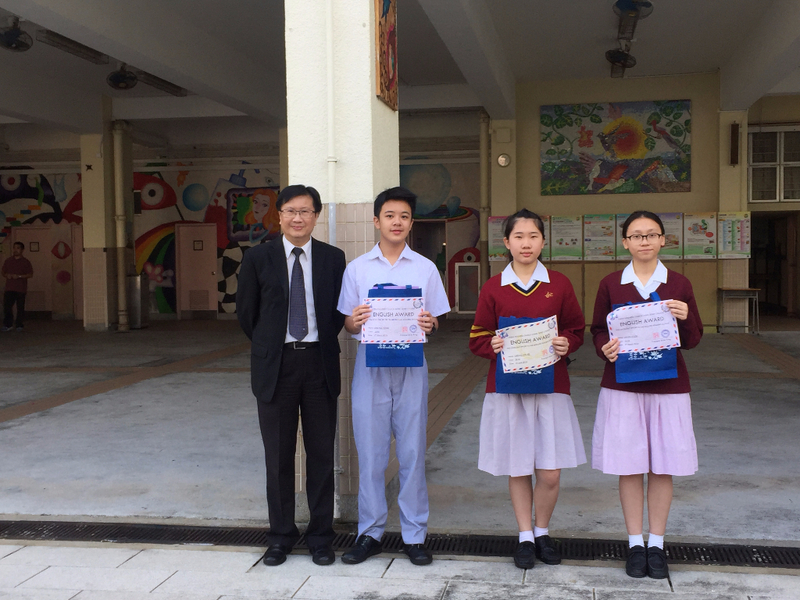 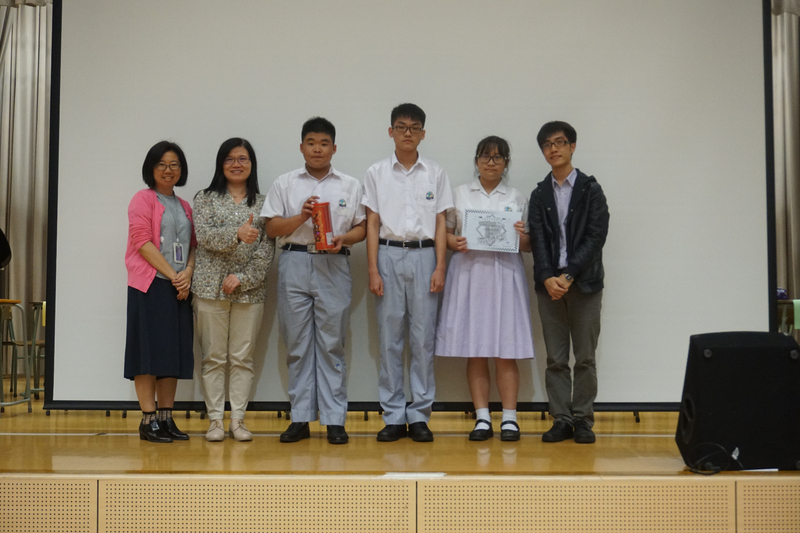 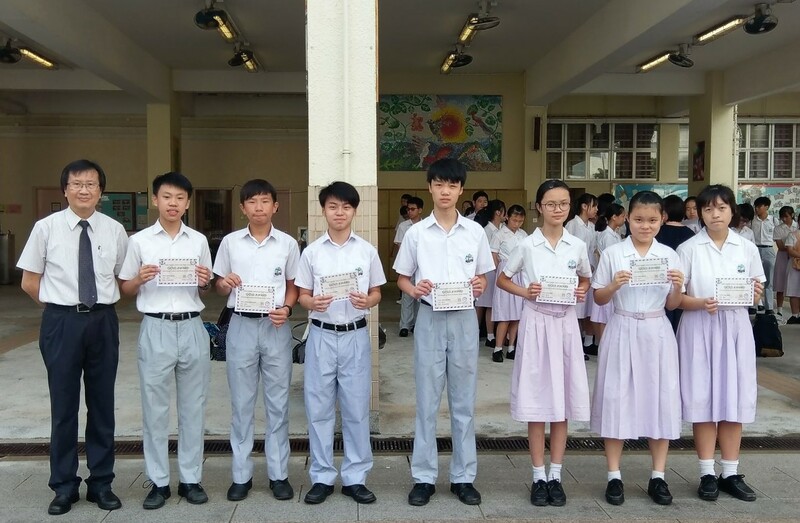 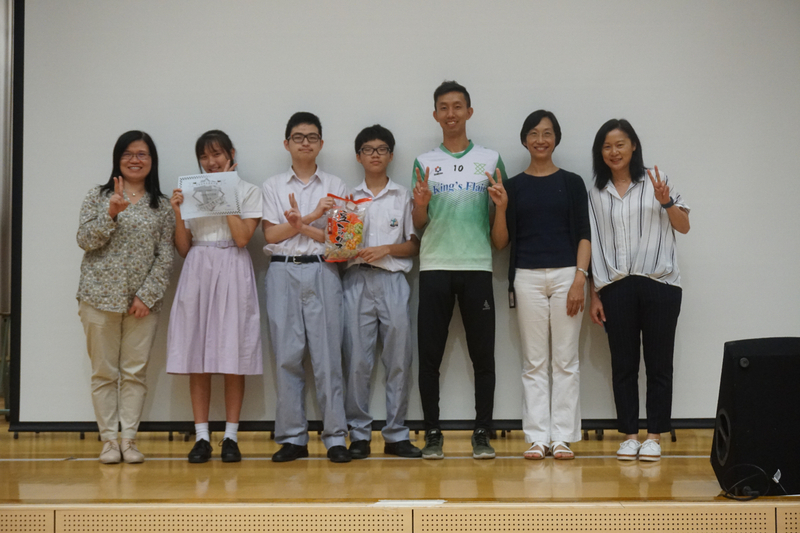 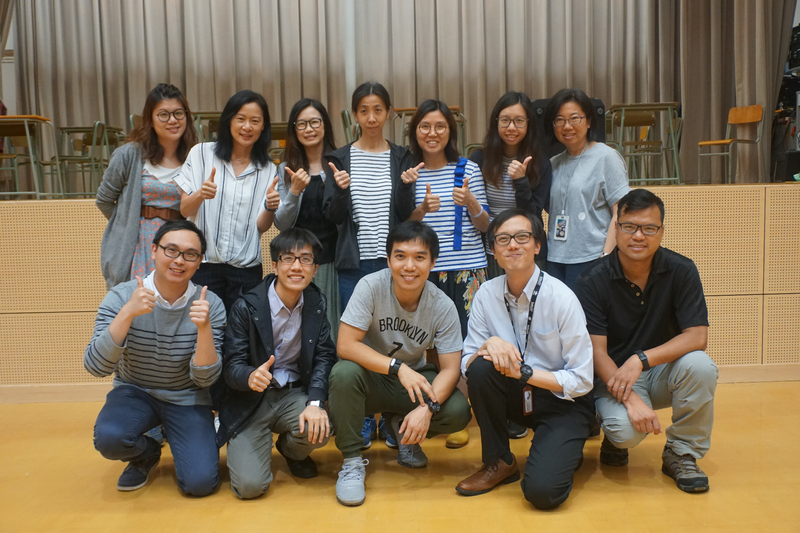 The most impressive students received a Platinum Award for consistently reading all year round, with some students reading for over 20 hours in the course of the year! 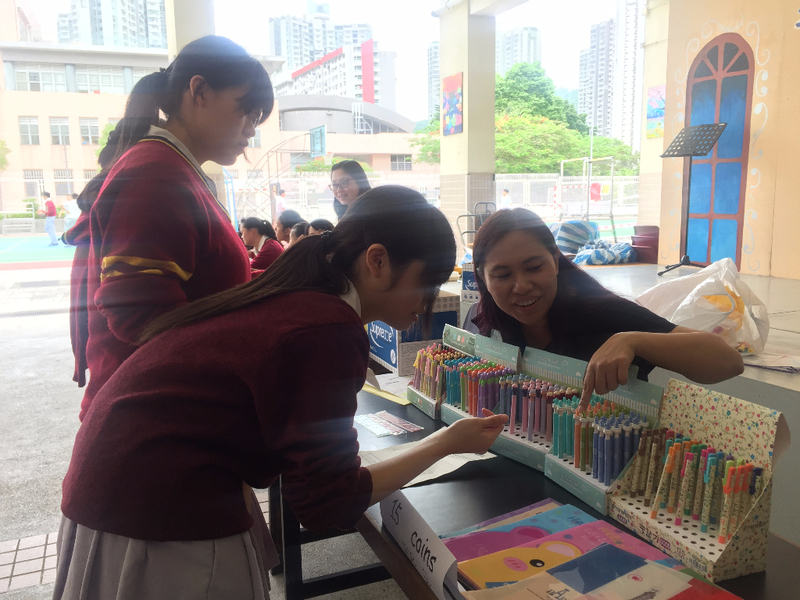 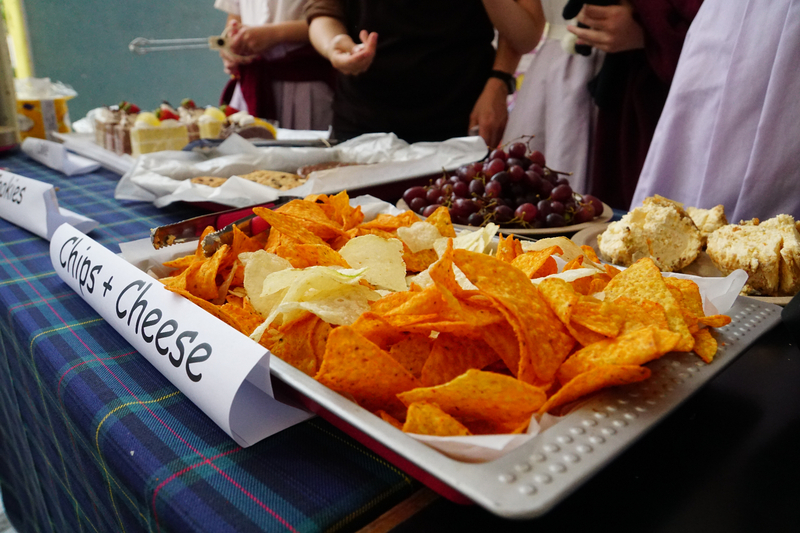 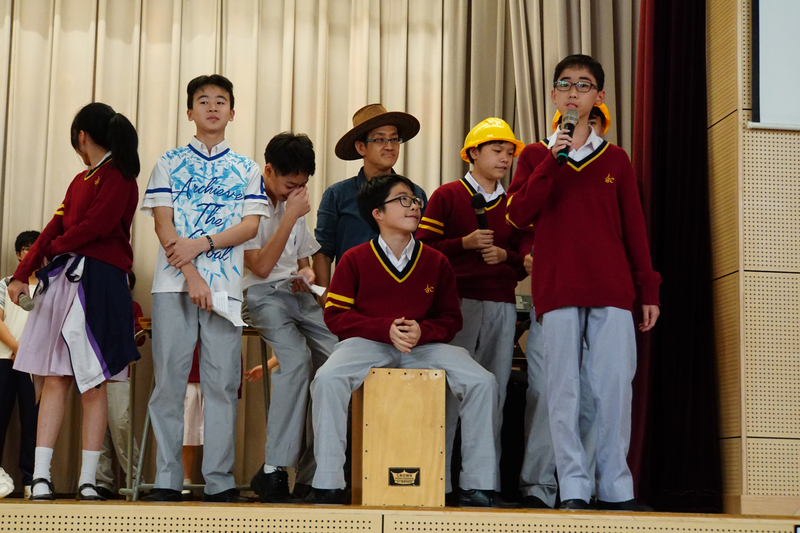 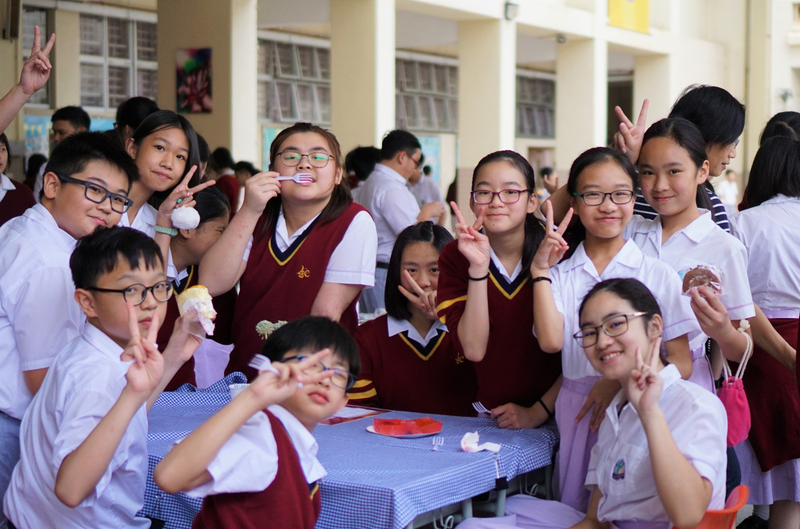 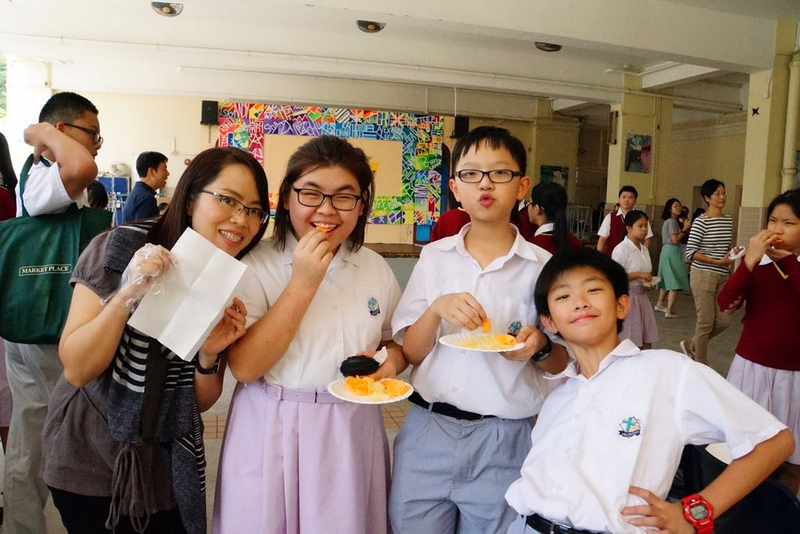 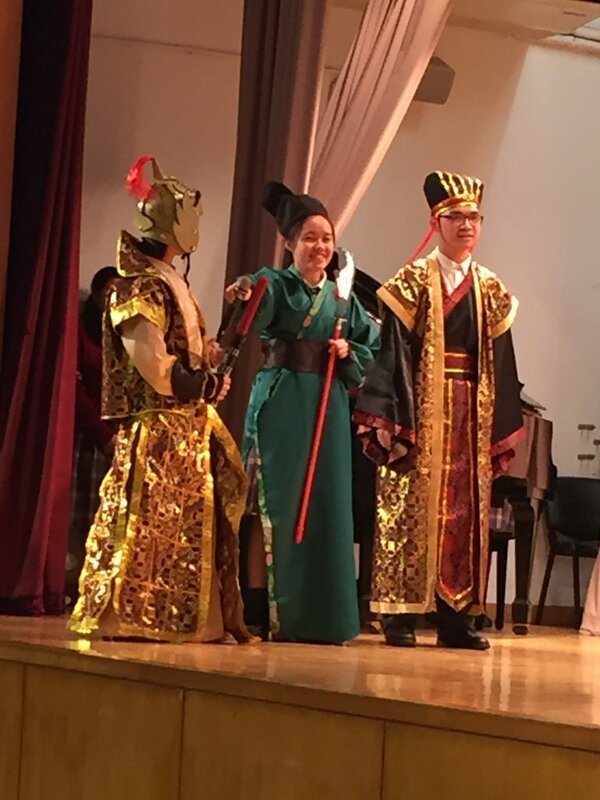 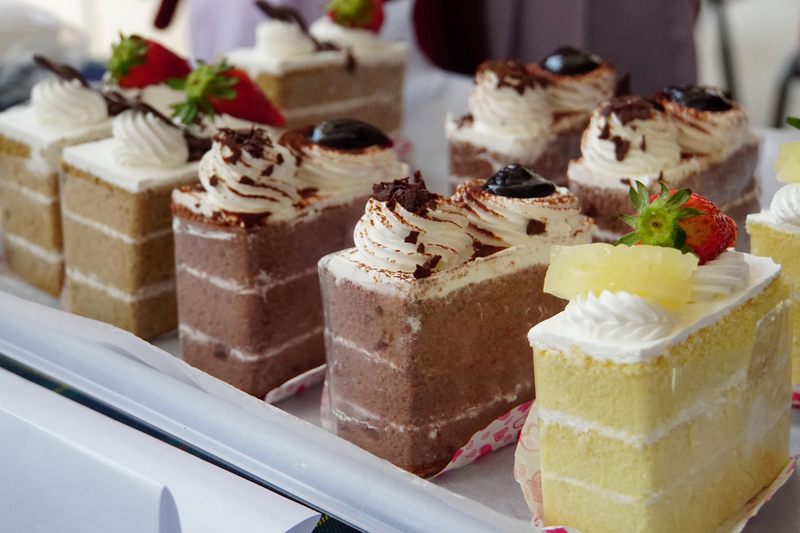 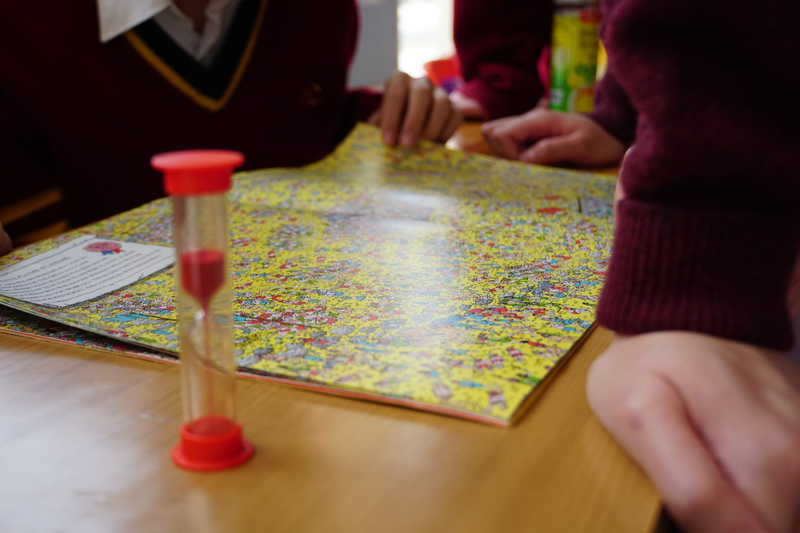 From Wednesday 18th to Friday 20th April, our school celebrated our annual English Fun Days! 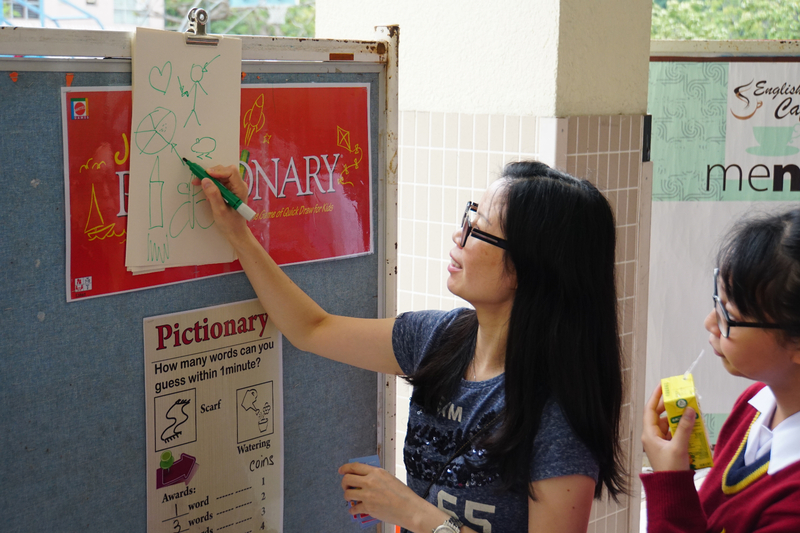 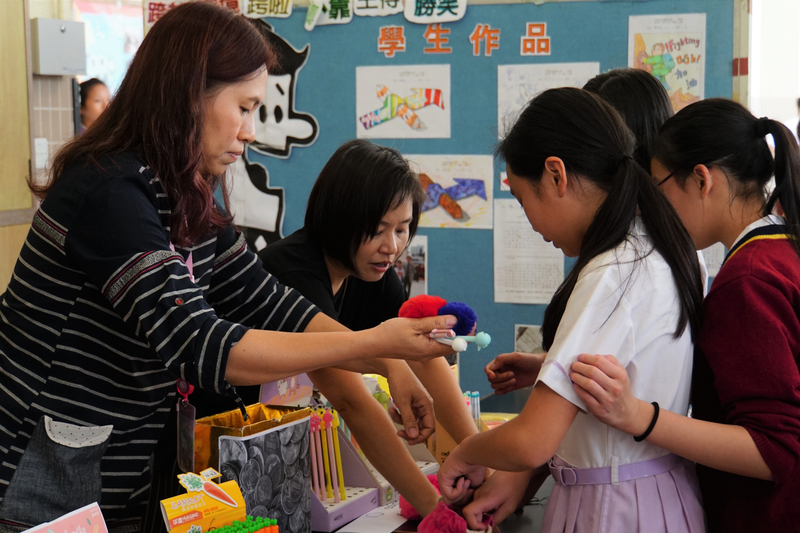 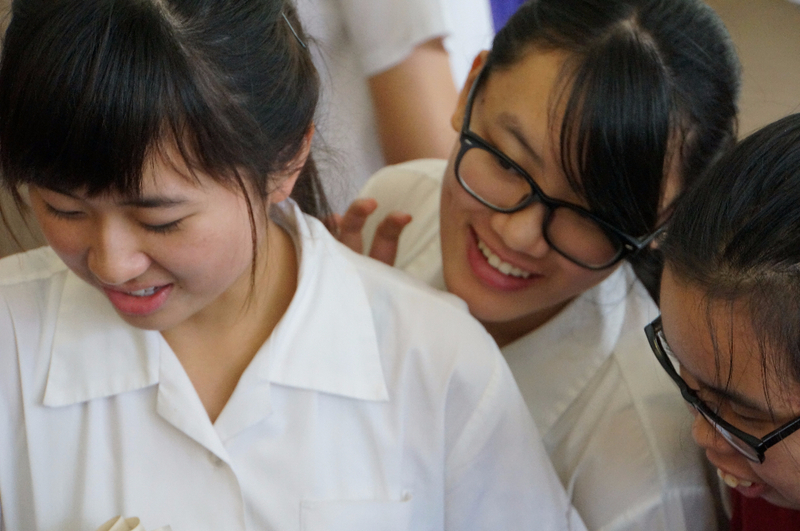 It is a time when teachers and students practise their English language skills in a variety of activities. 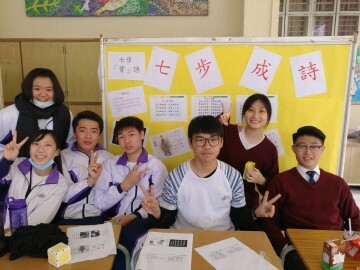 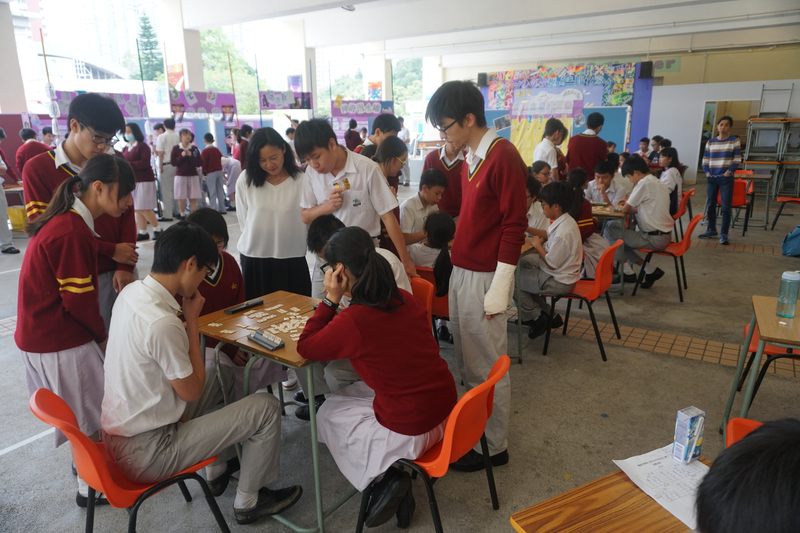 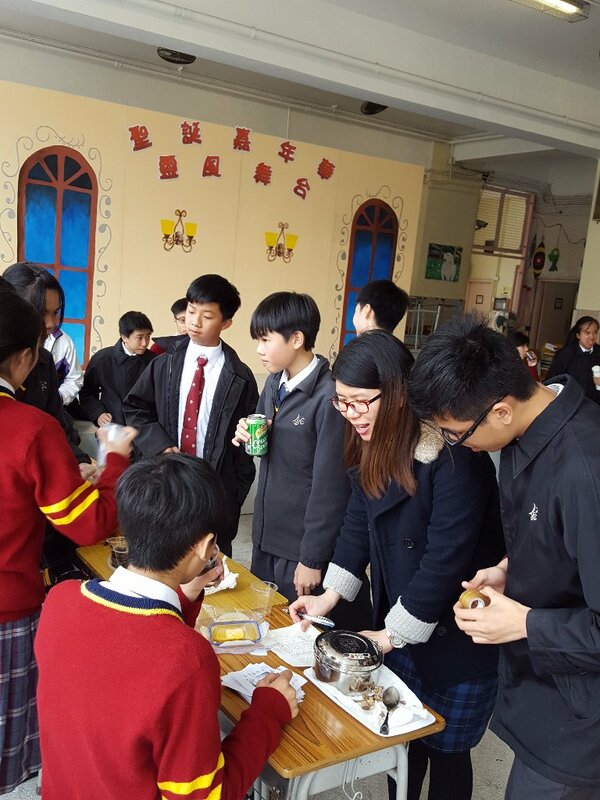 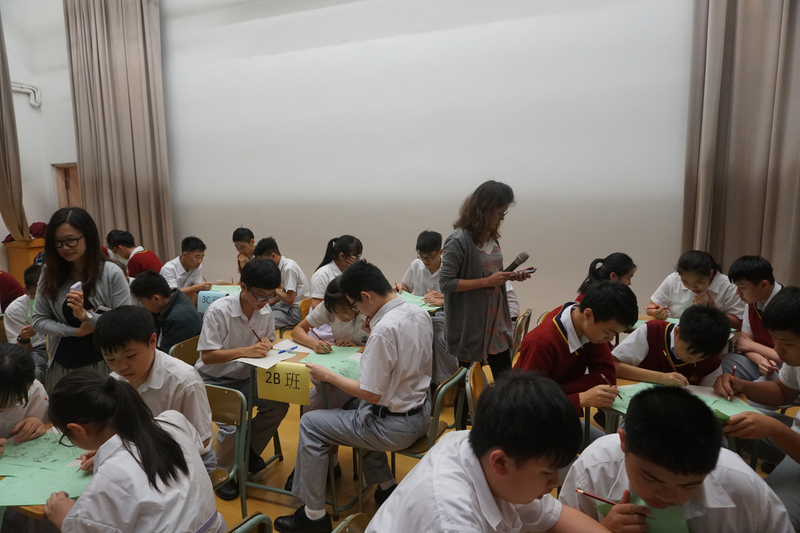 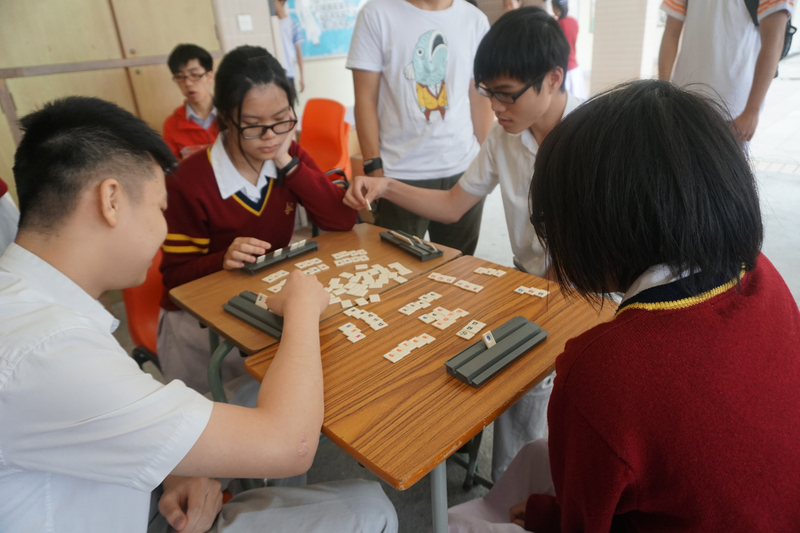 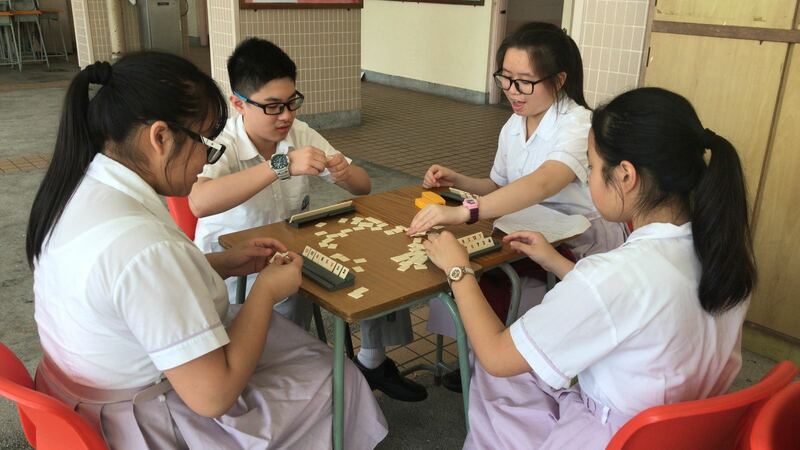 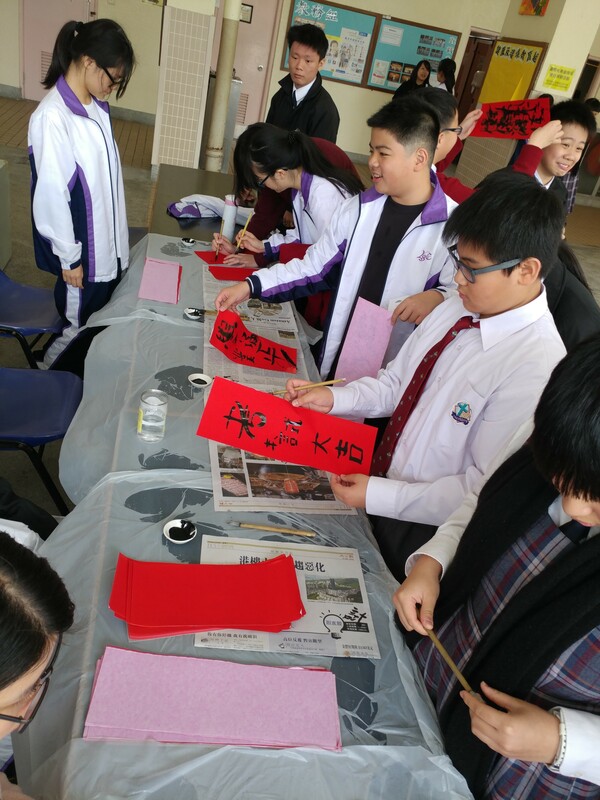 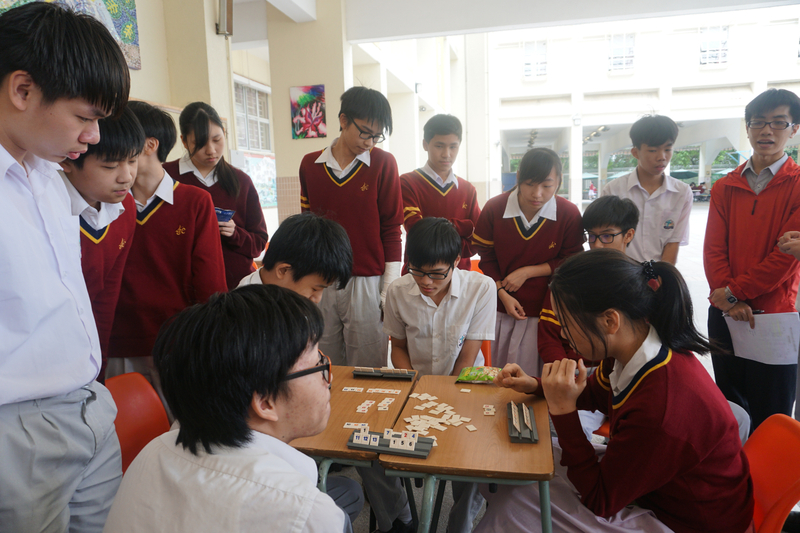 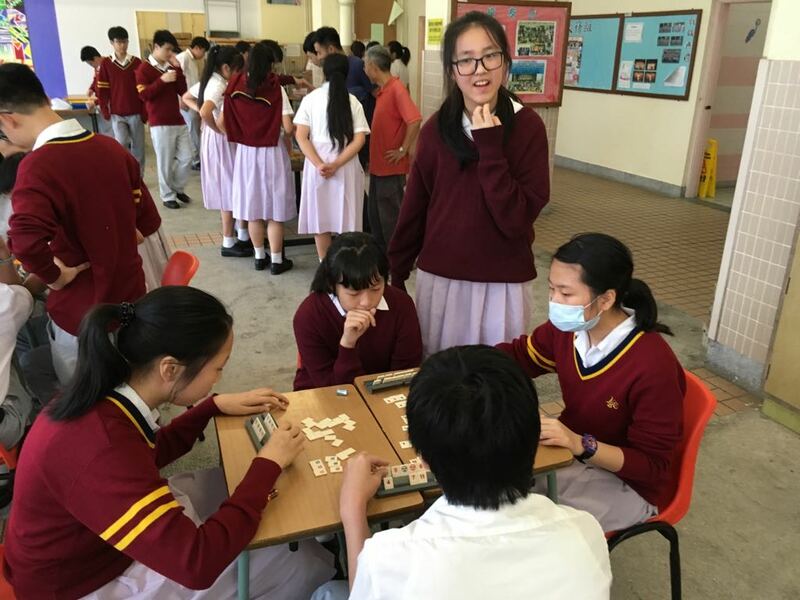 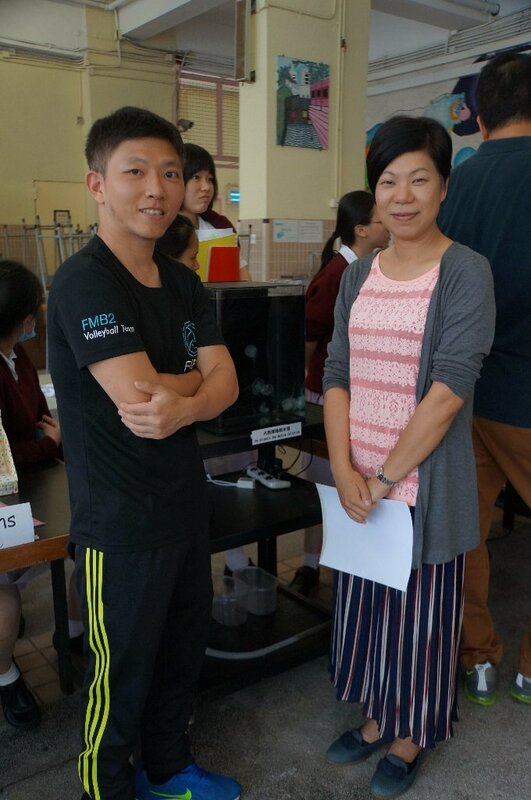 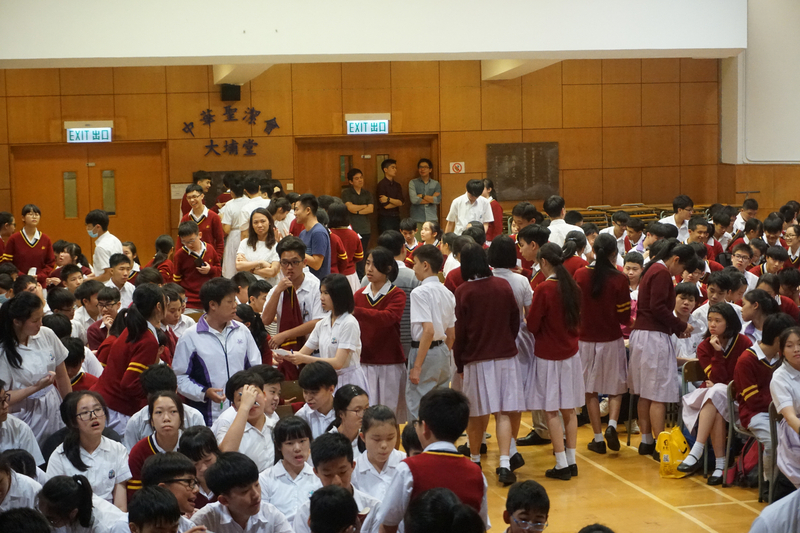 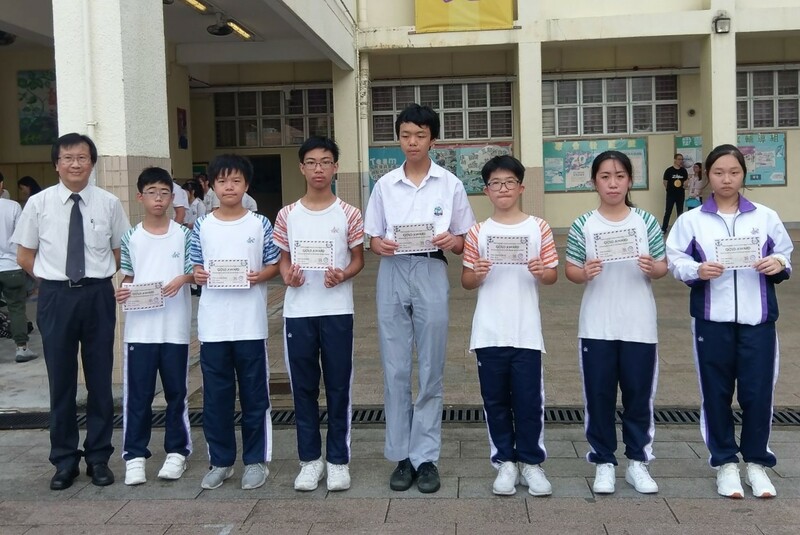 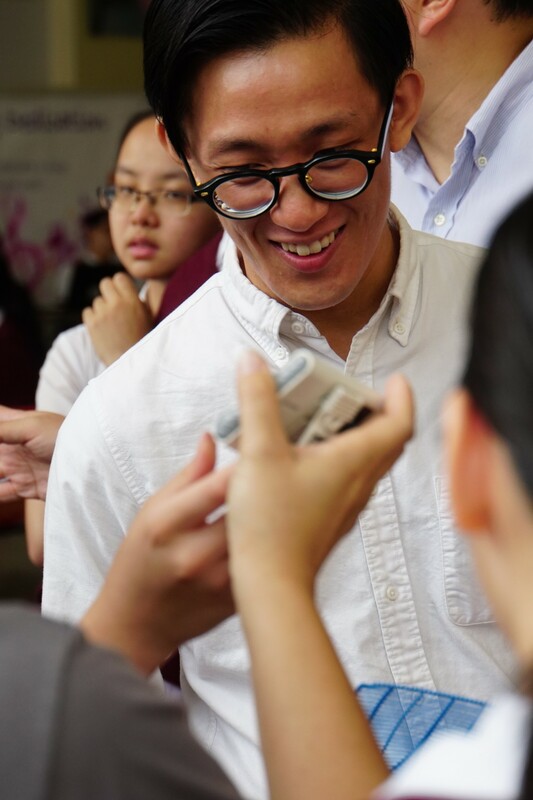 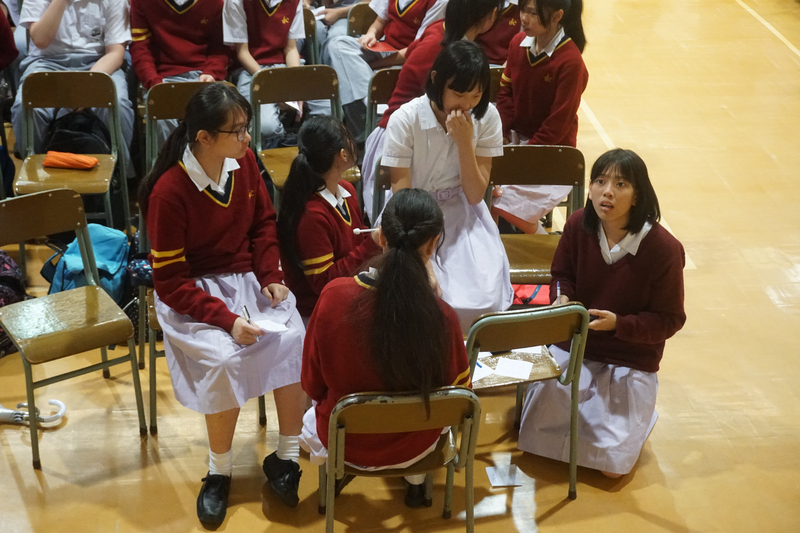 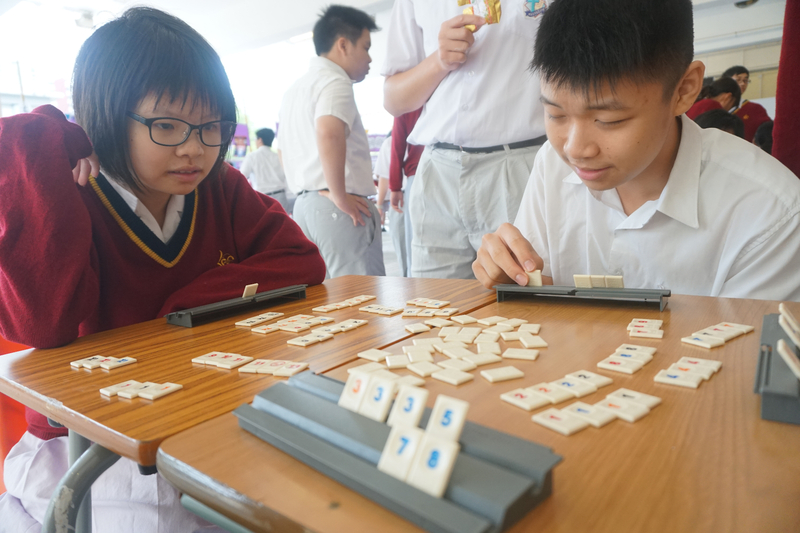 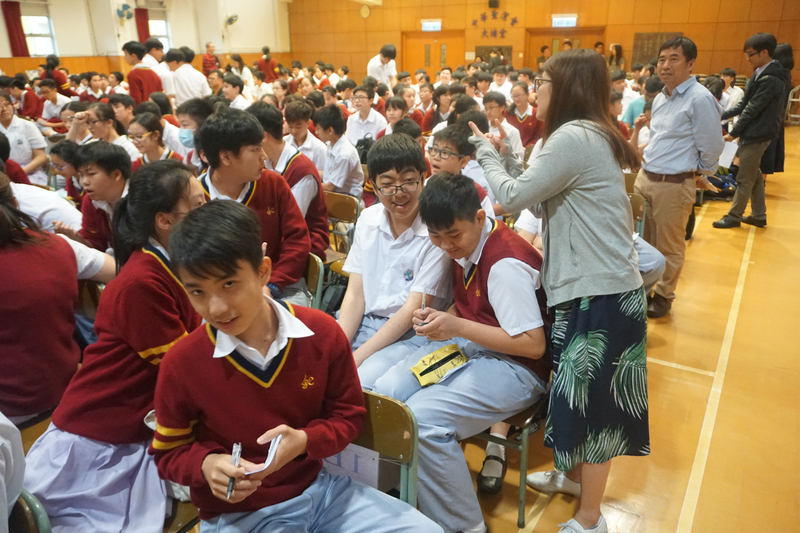 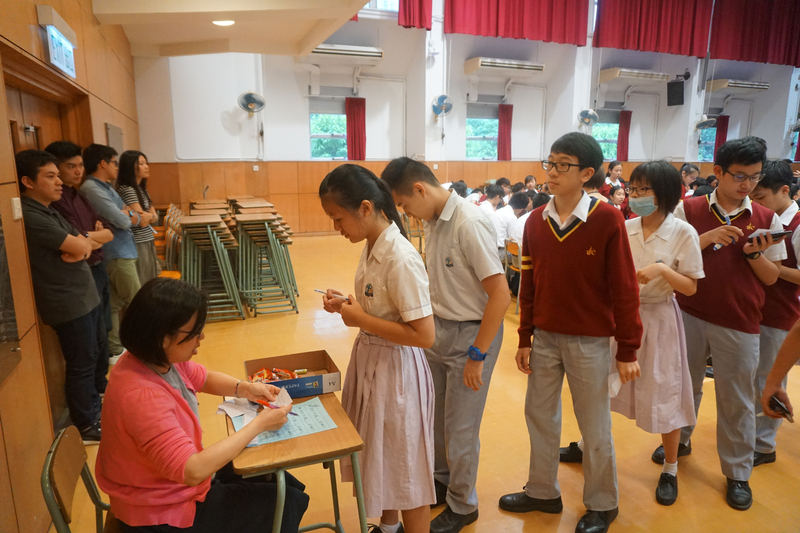 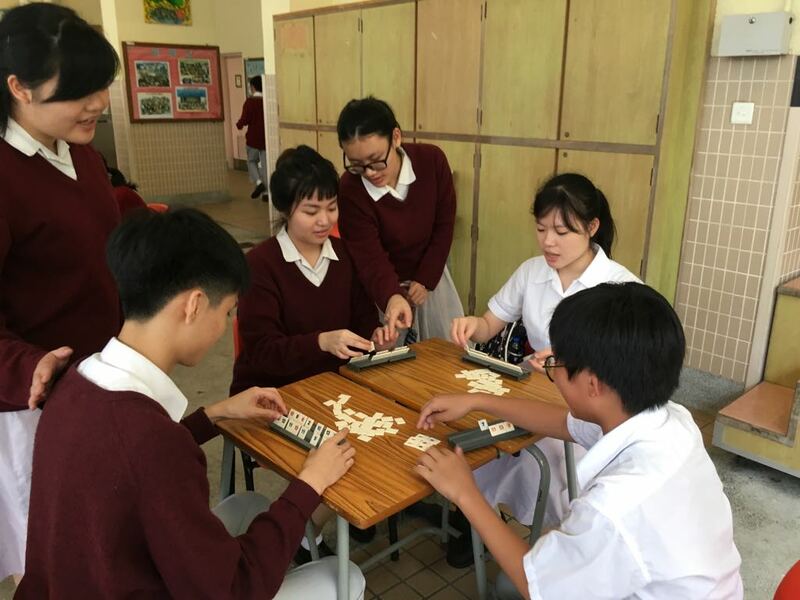 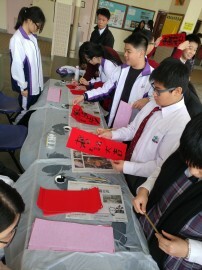 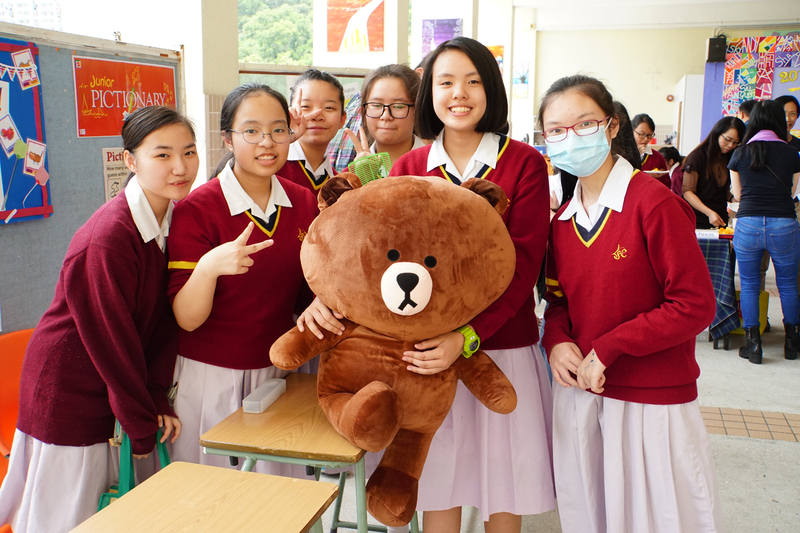 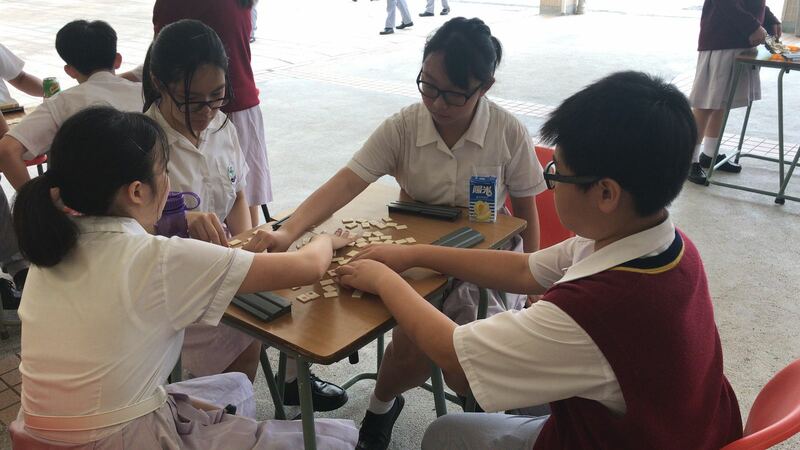 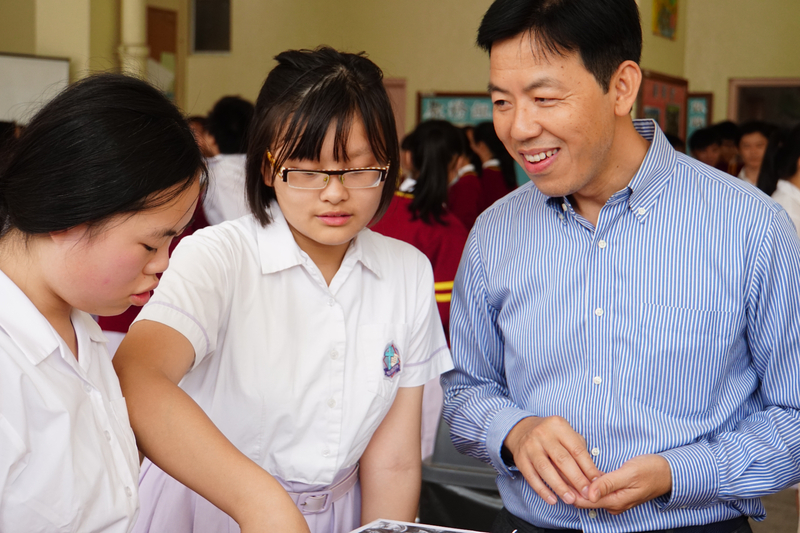 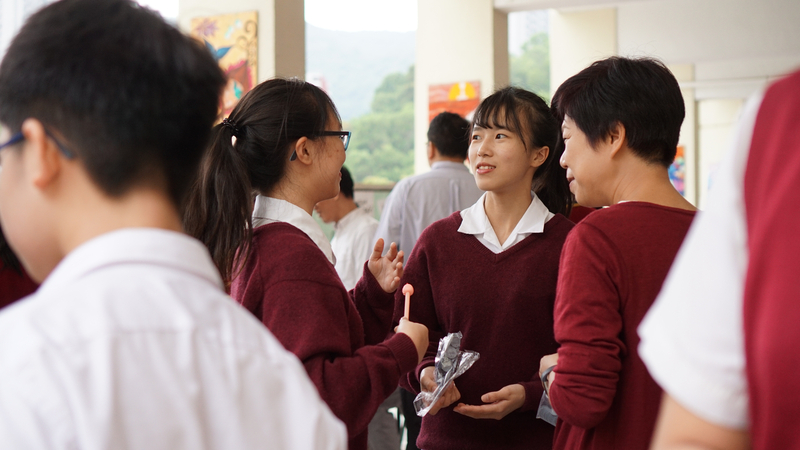 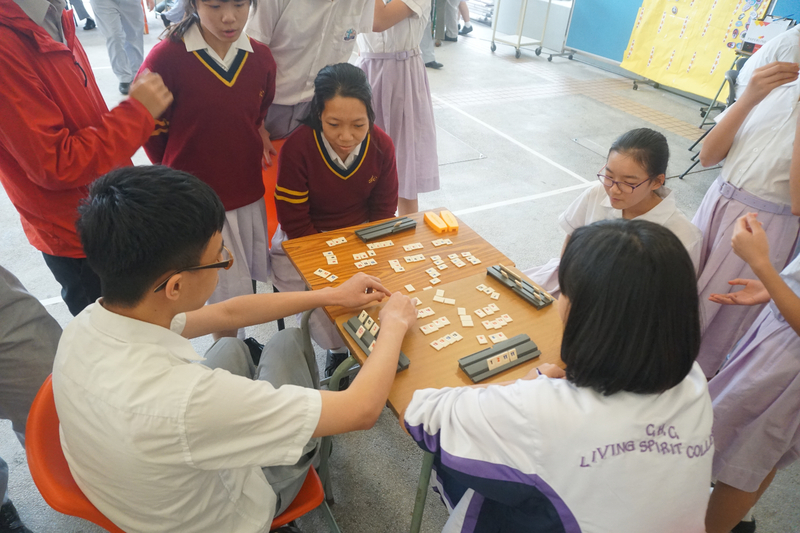 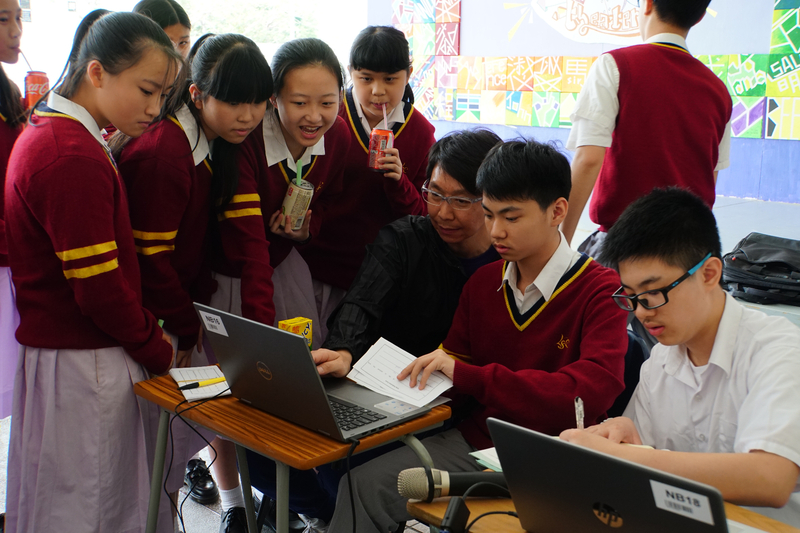 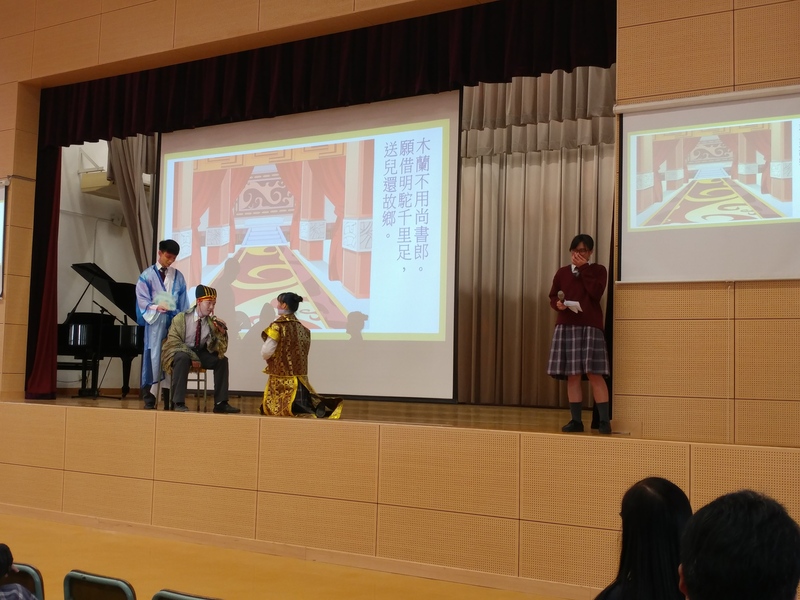 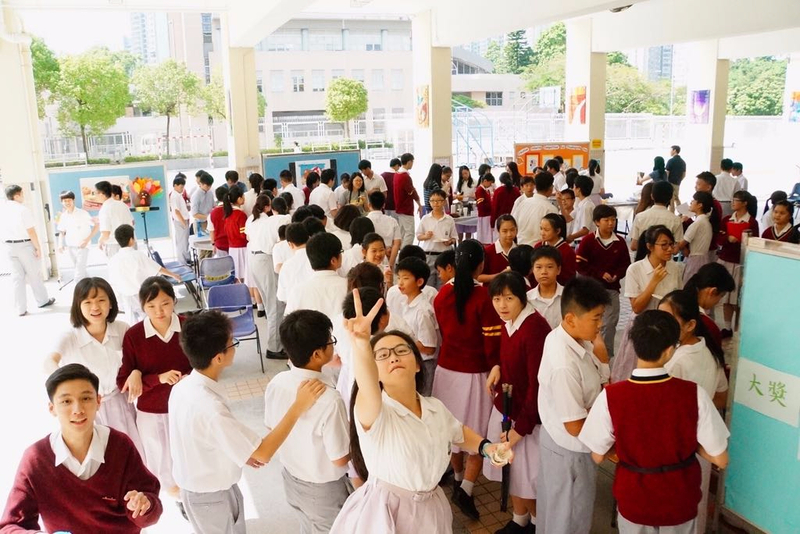 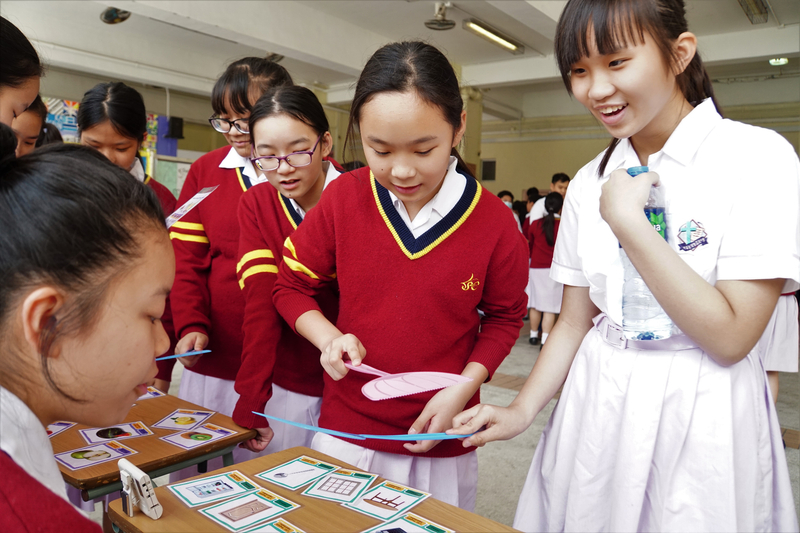 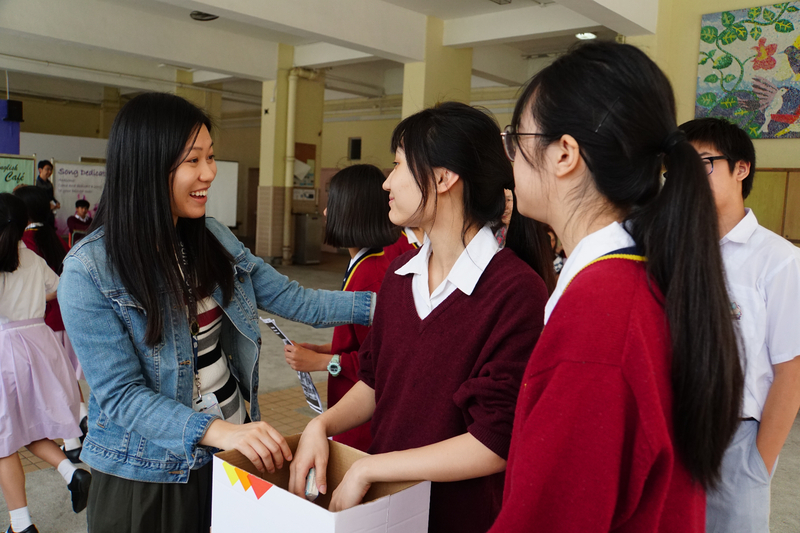 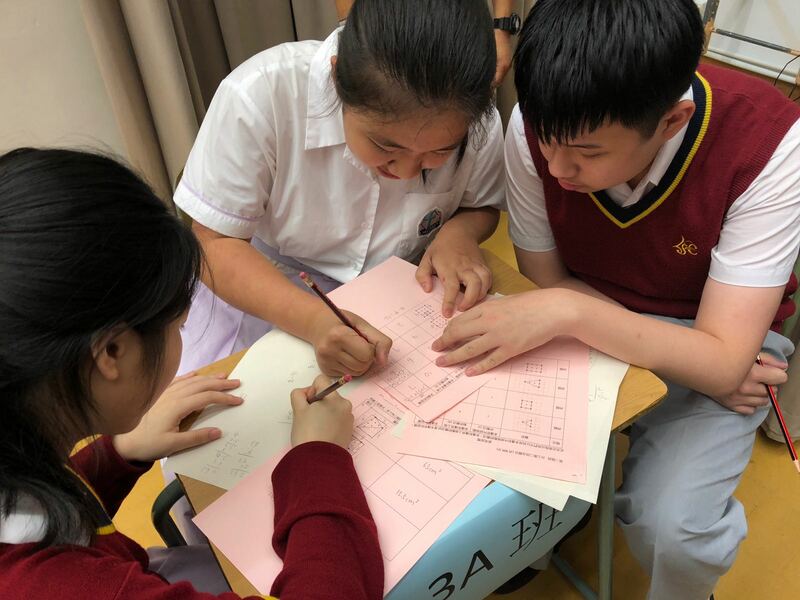 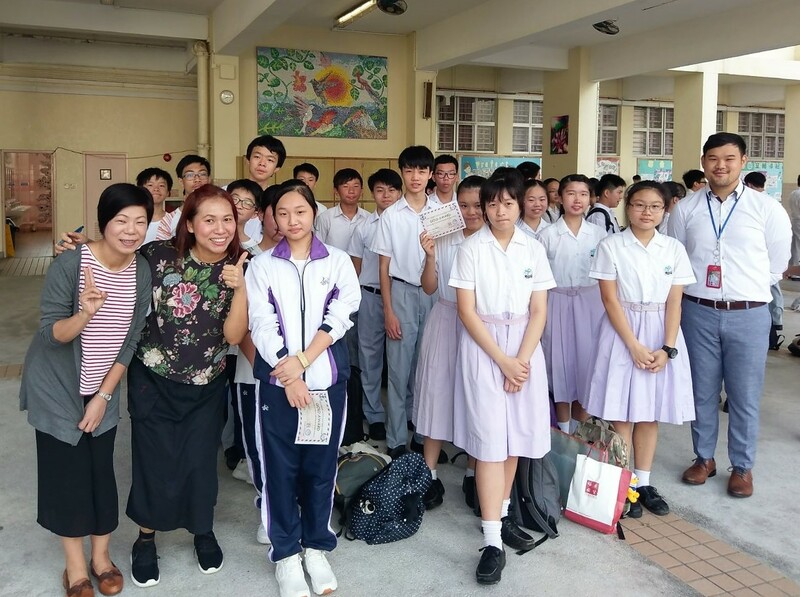 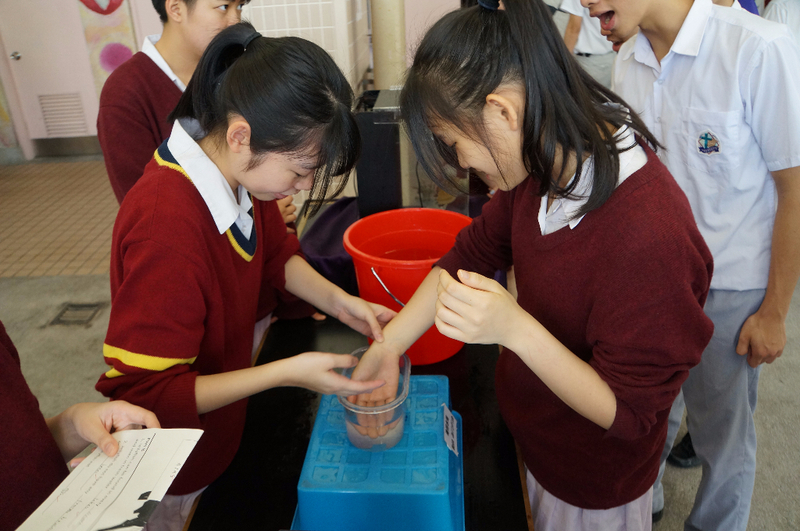 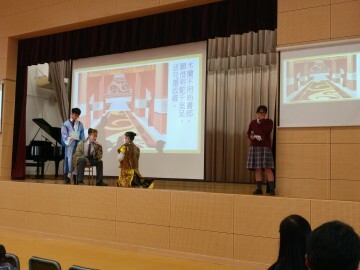 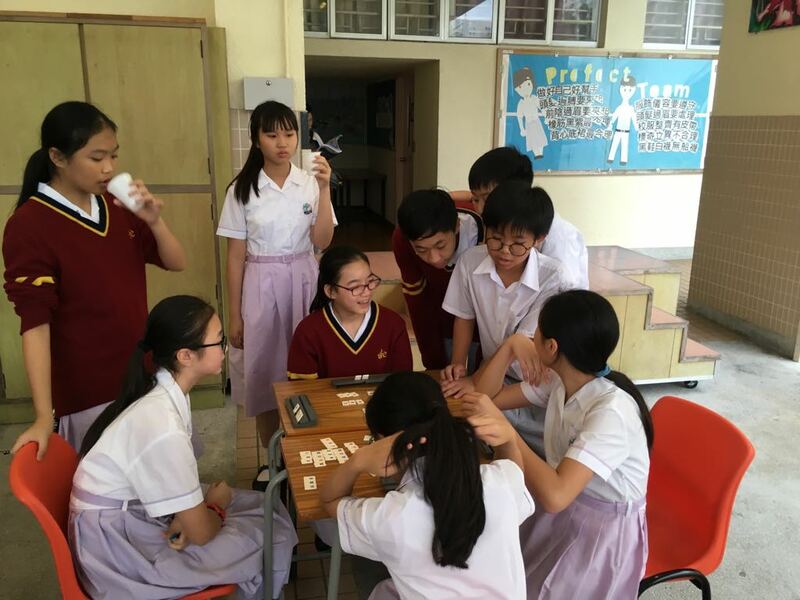 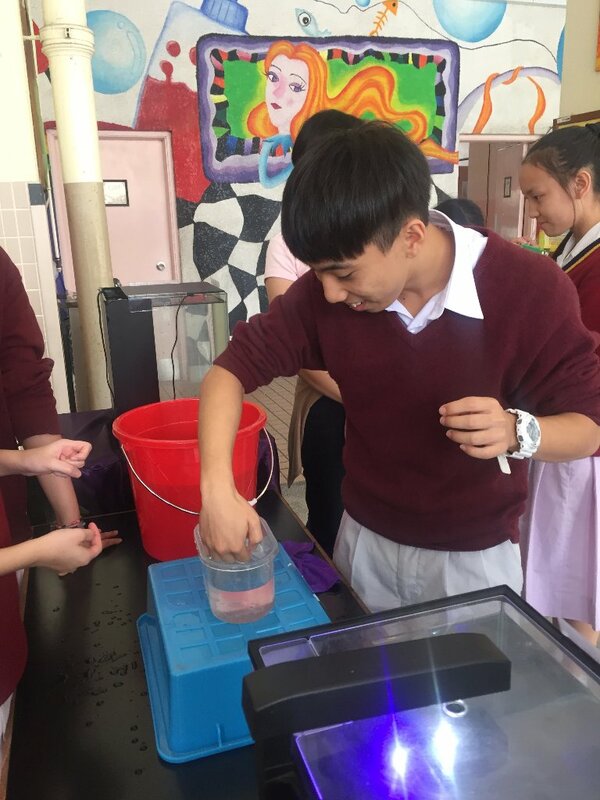 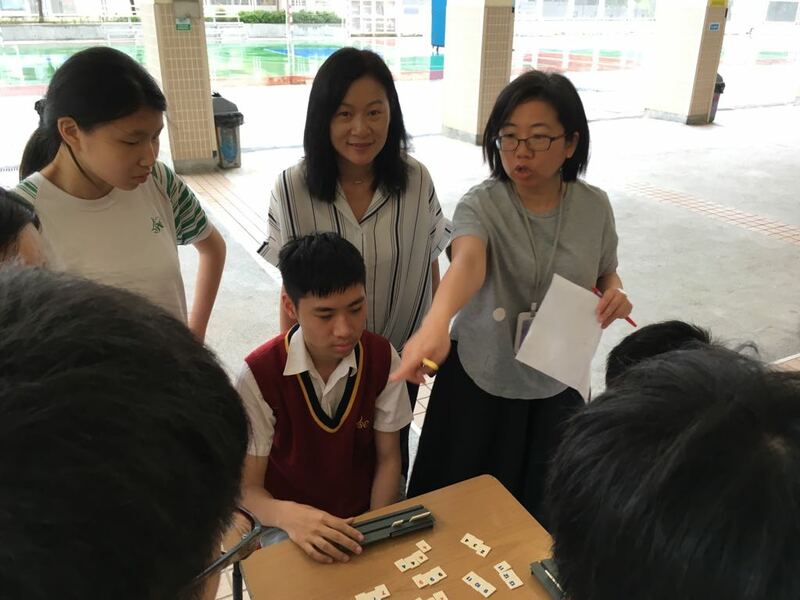 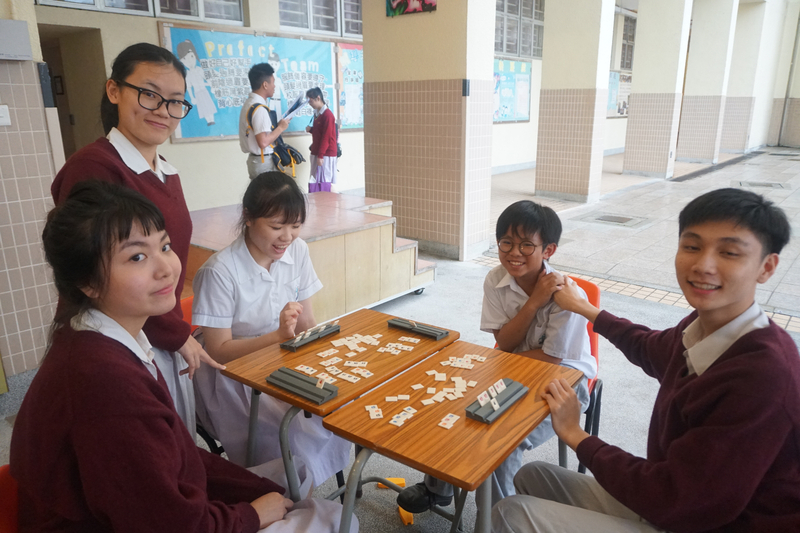 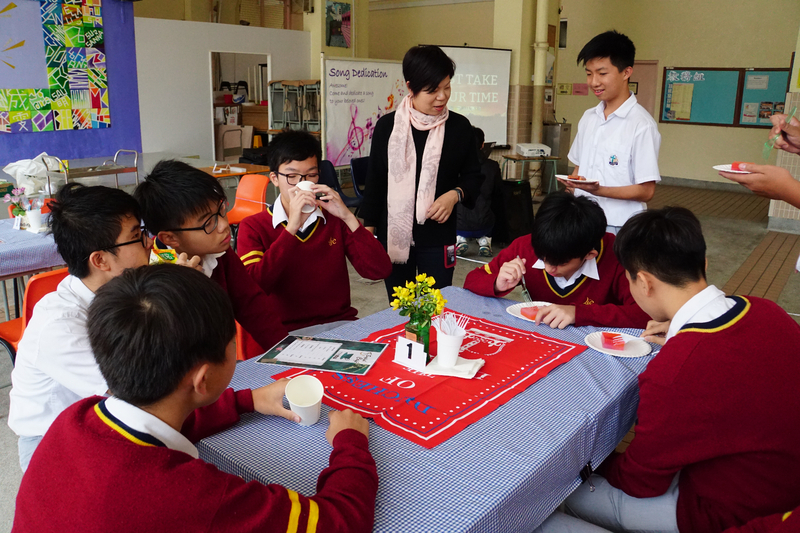 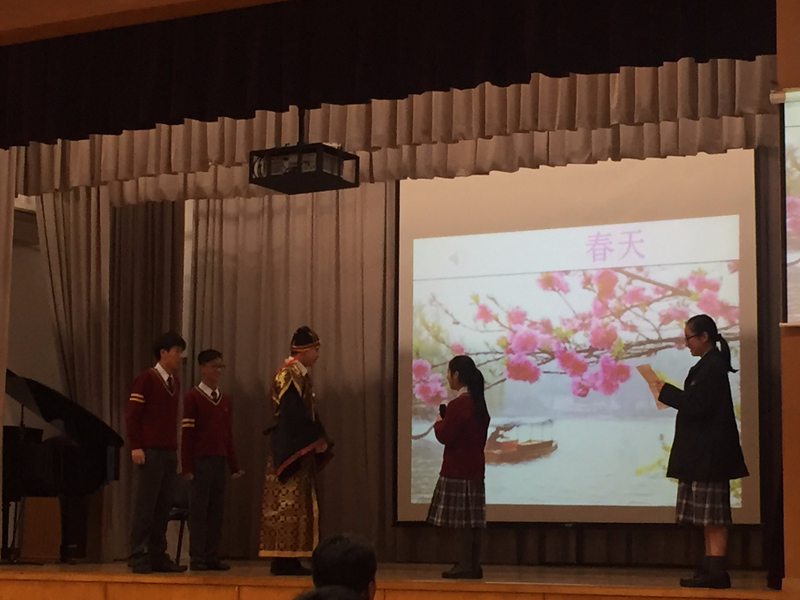 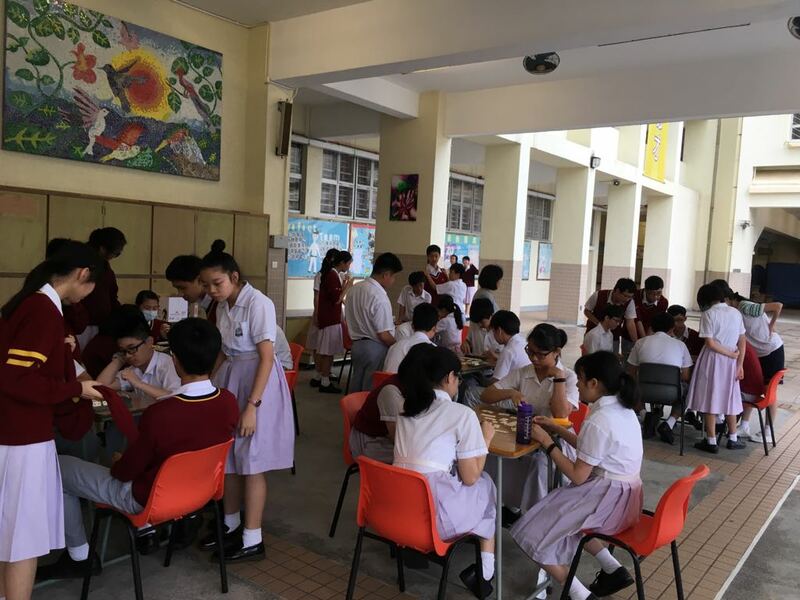 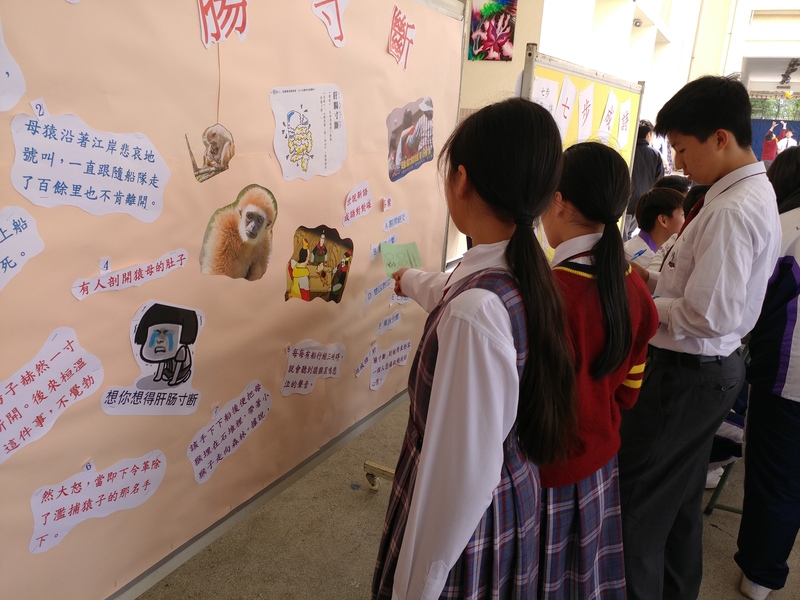 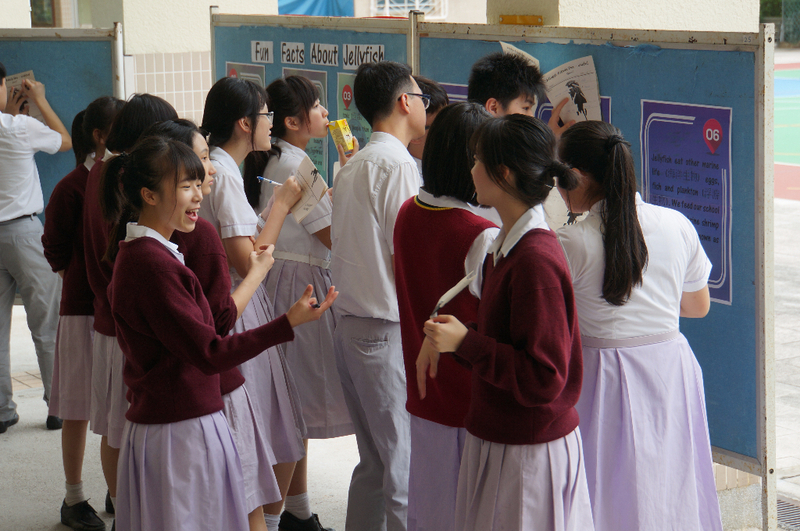 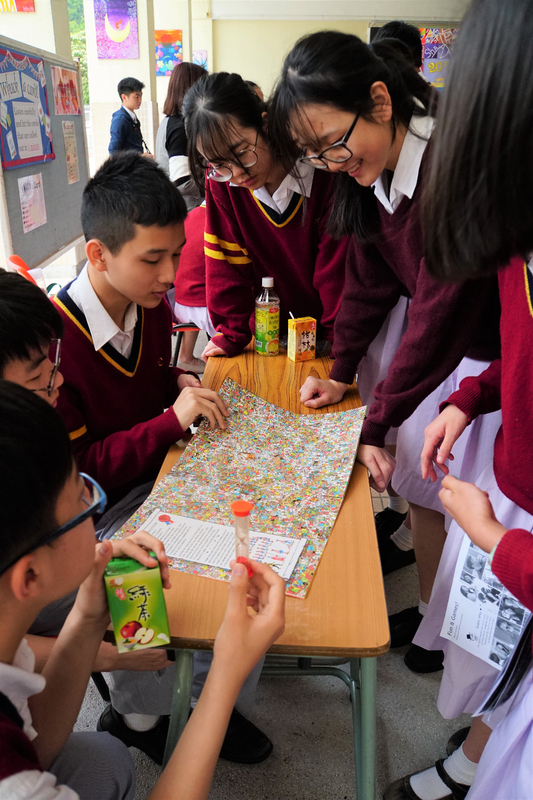 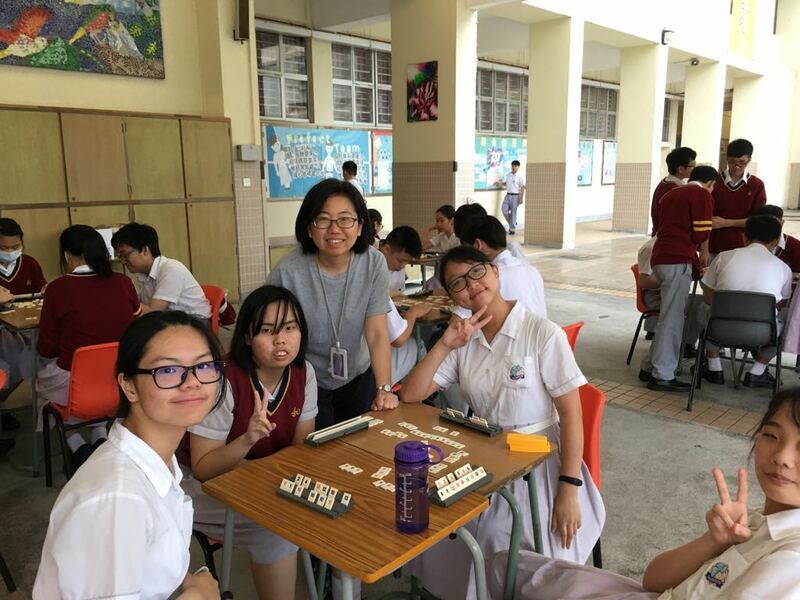 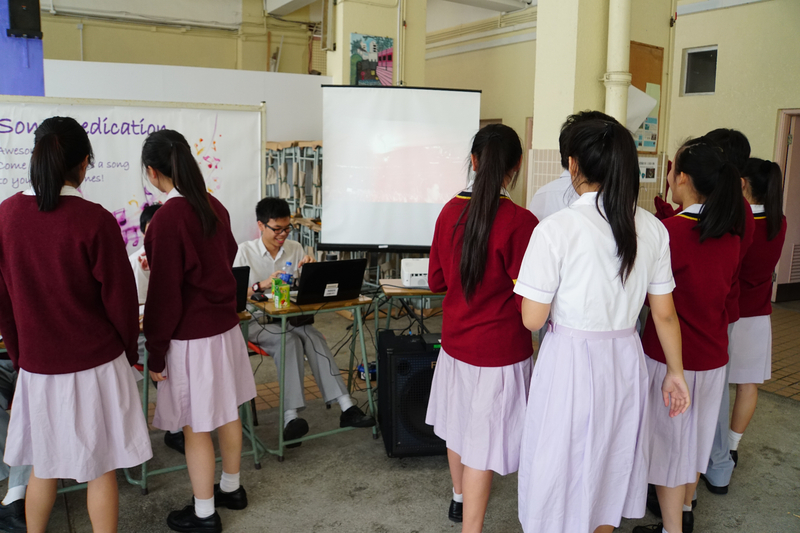 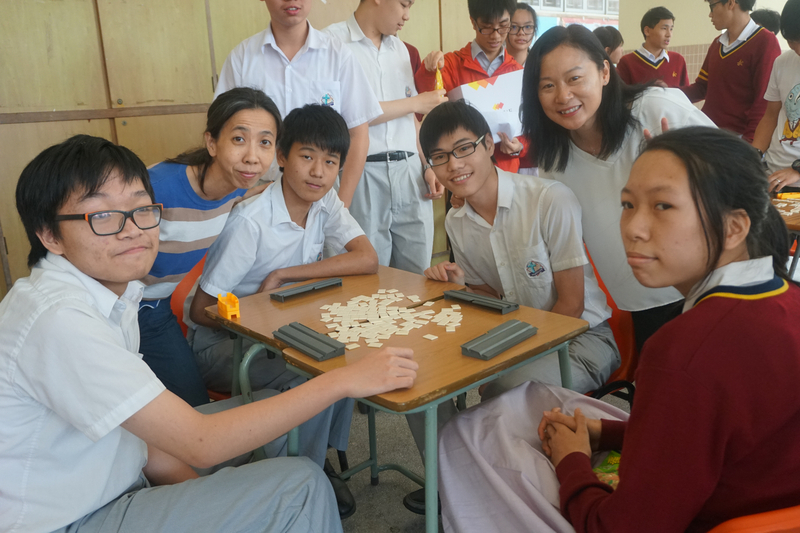 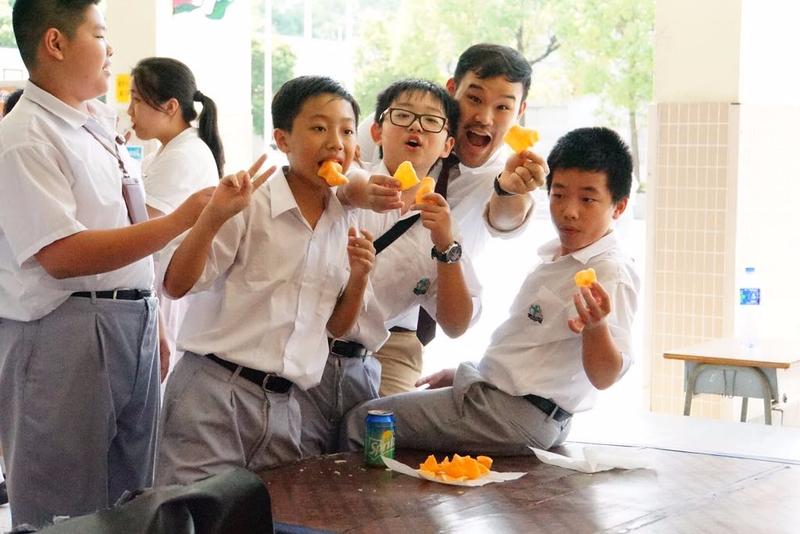 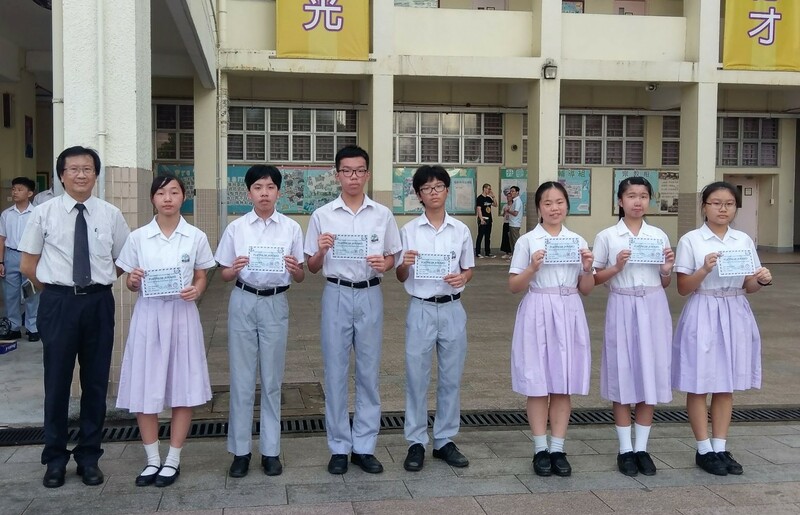 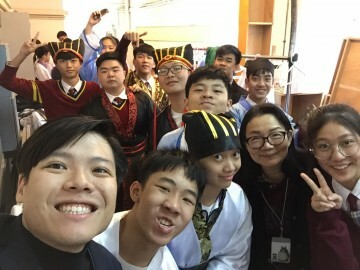 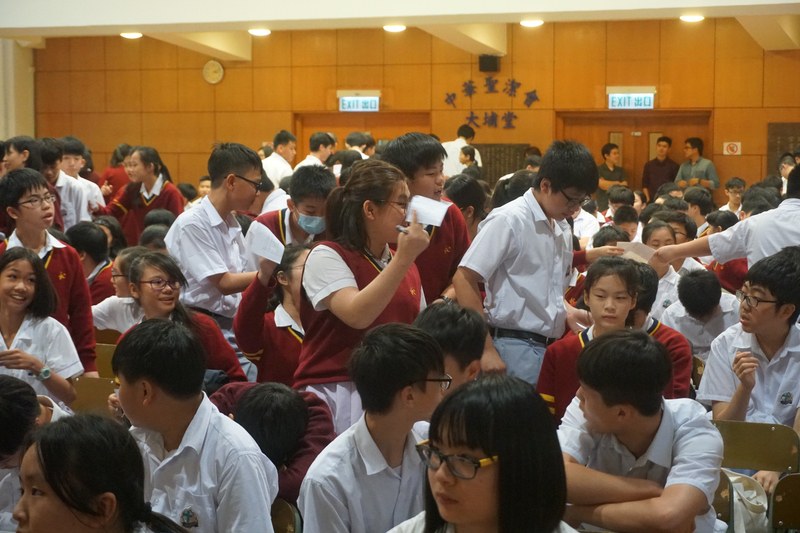 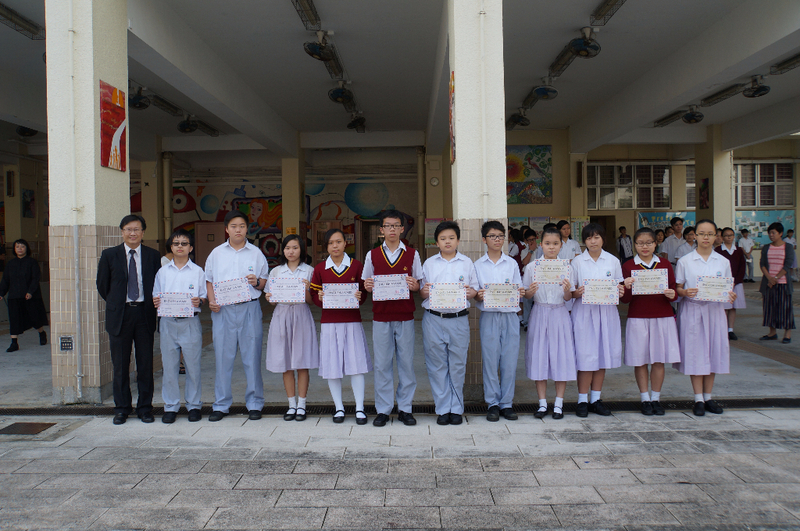 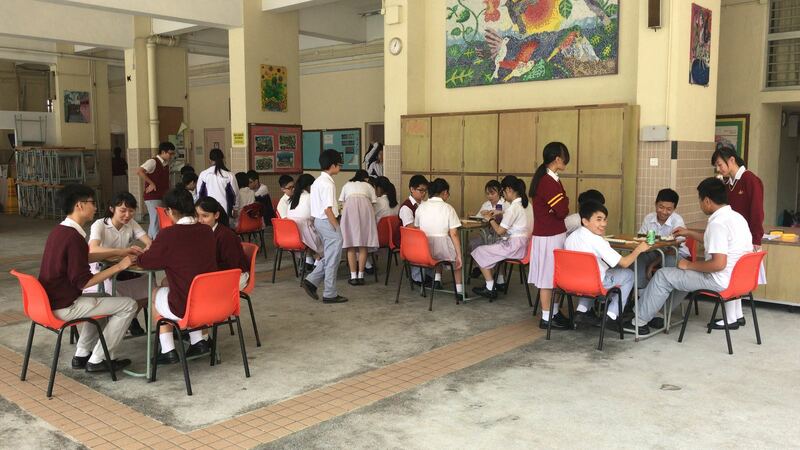 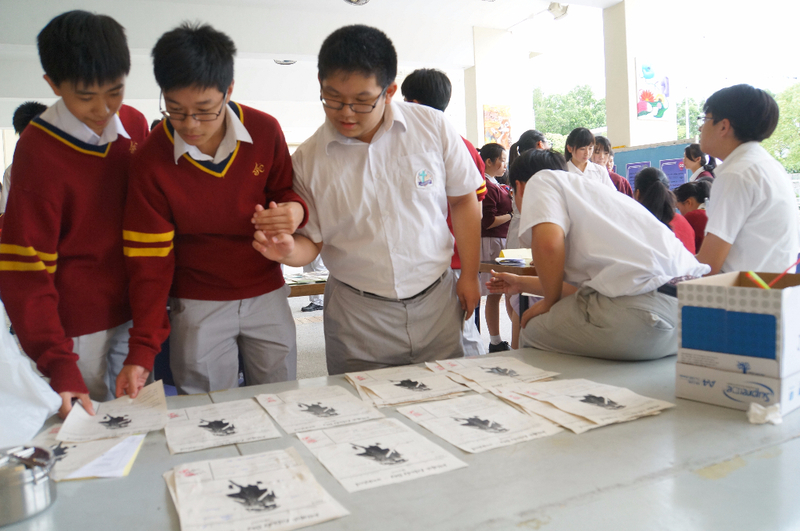 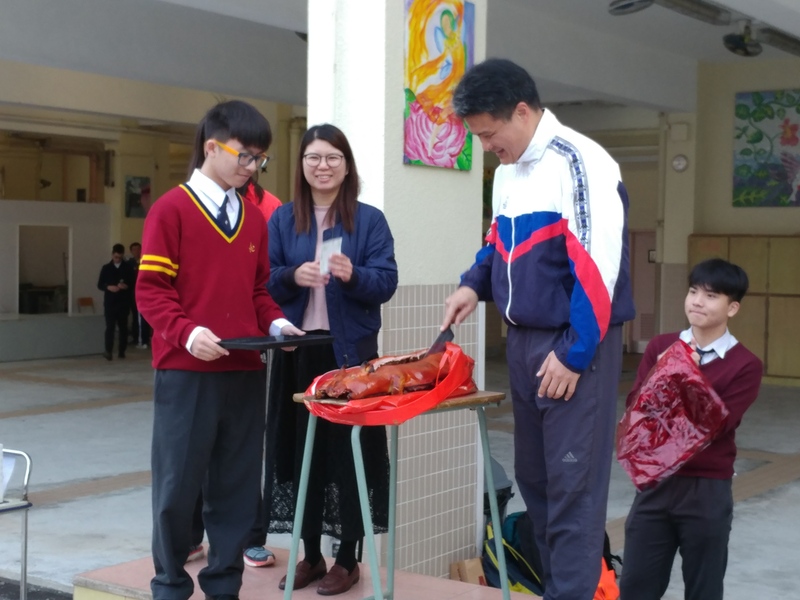 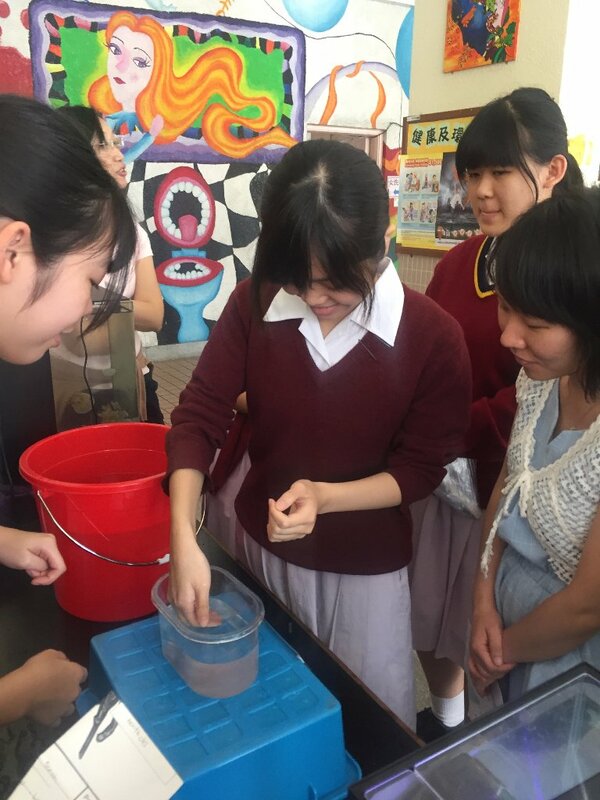 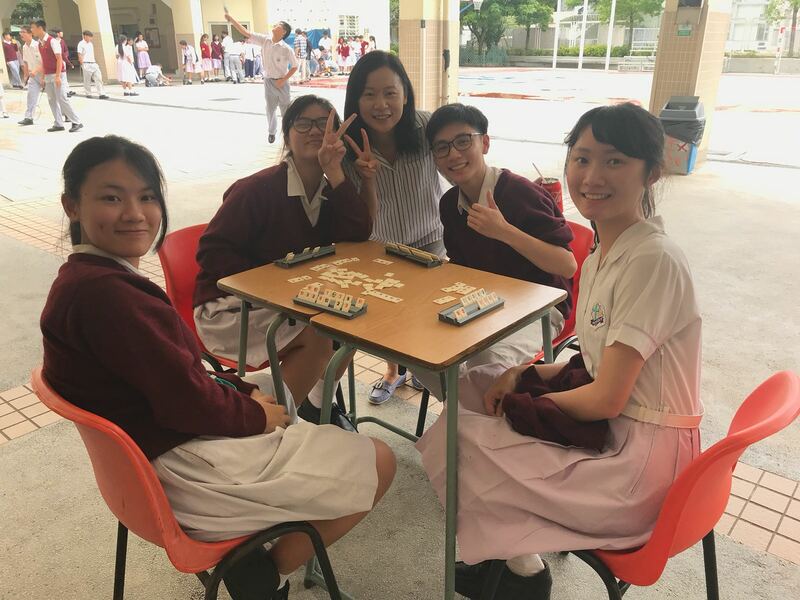 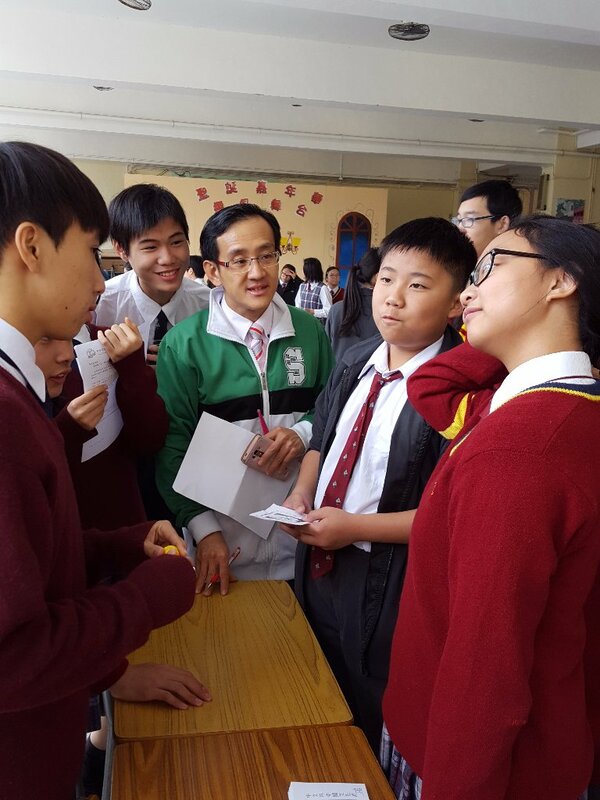 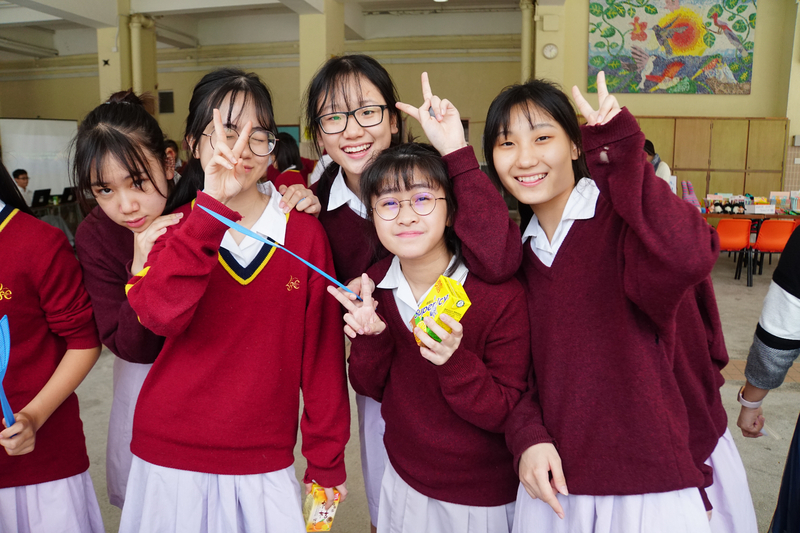 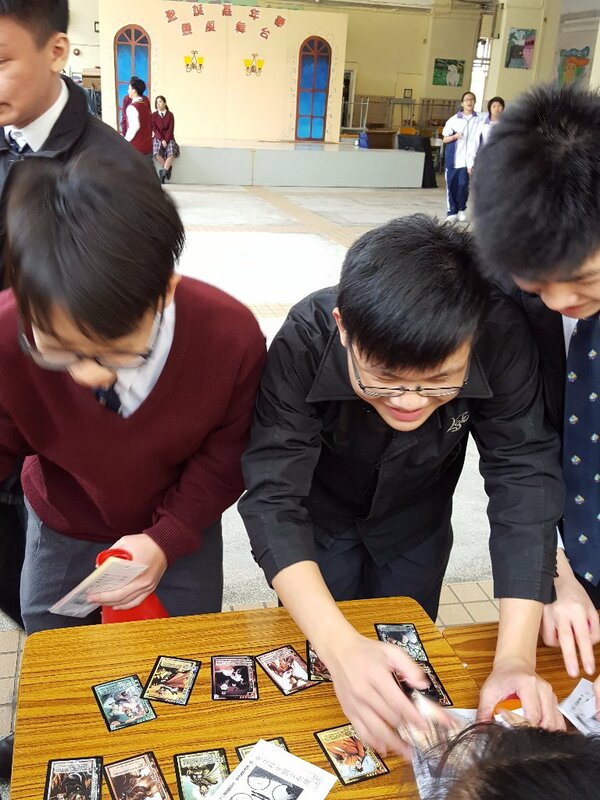 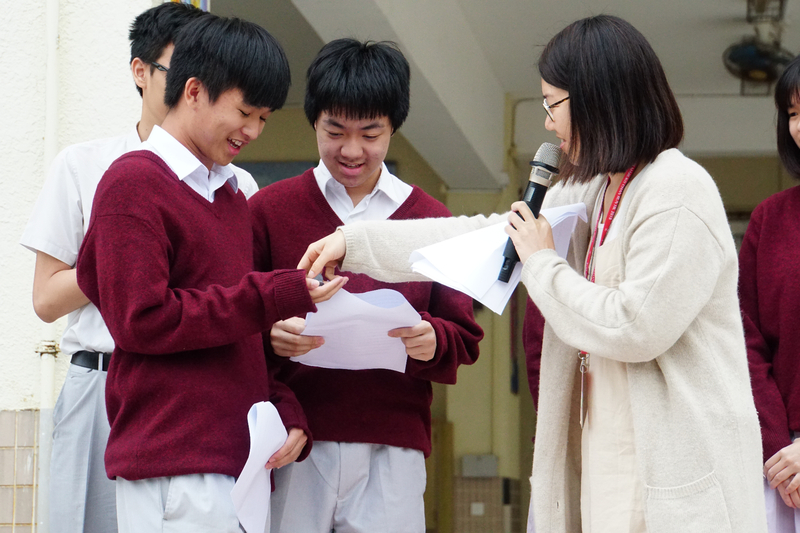 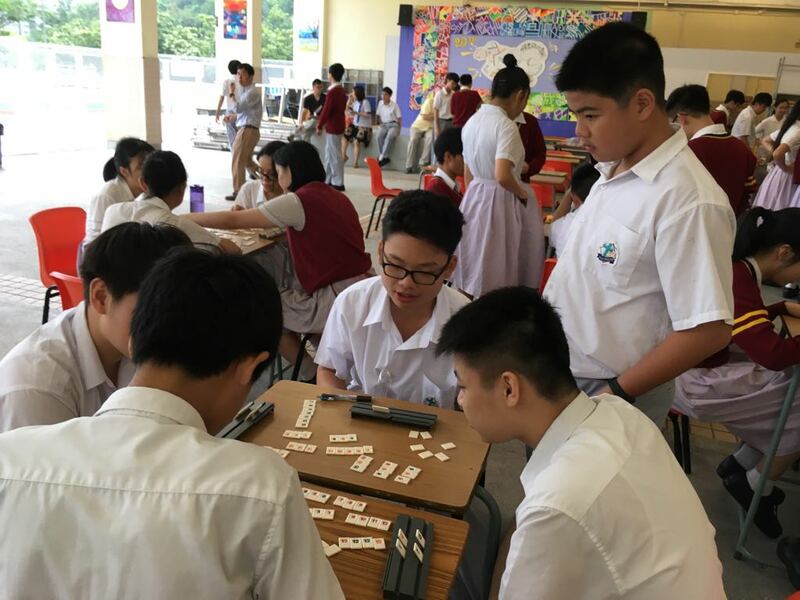 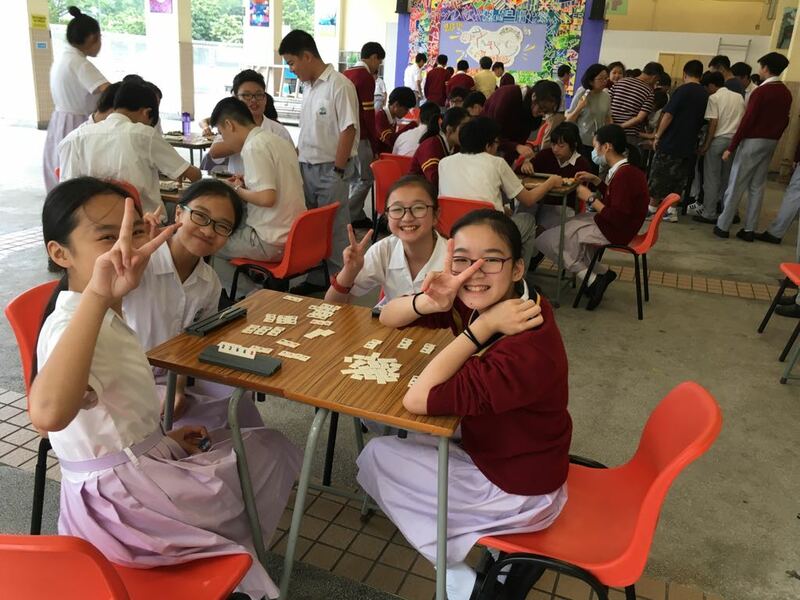 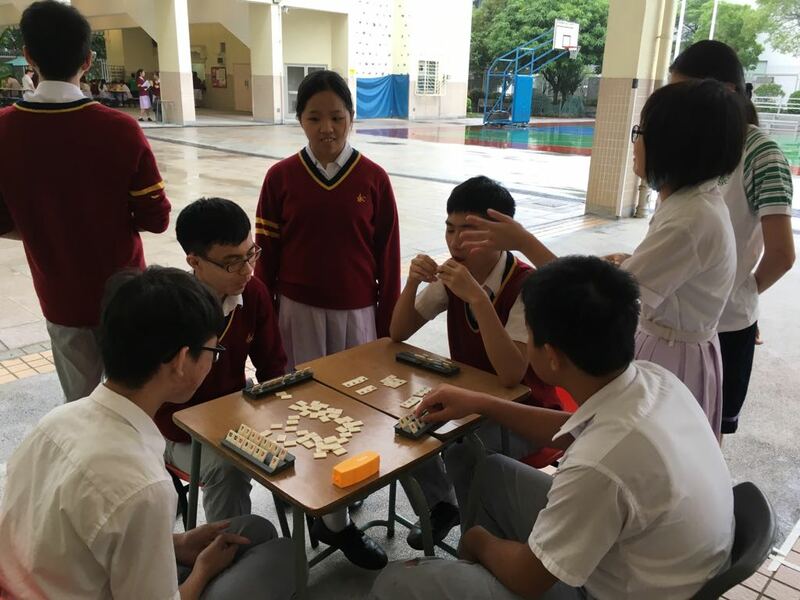 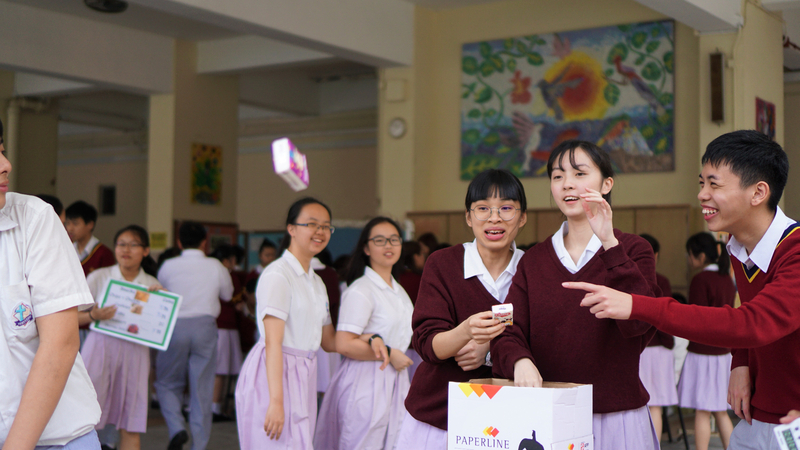 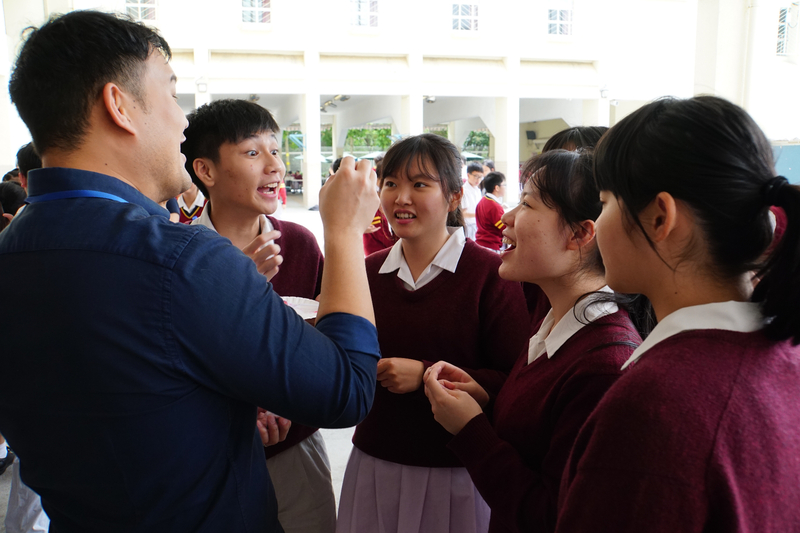 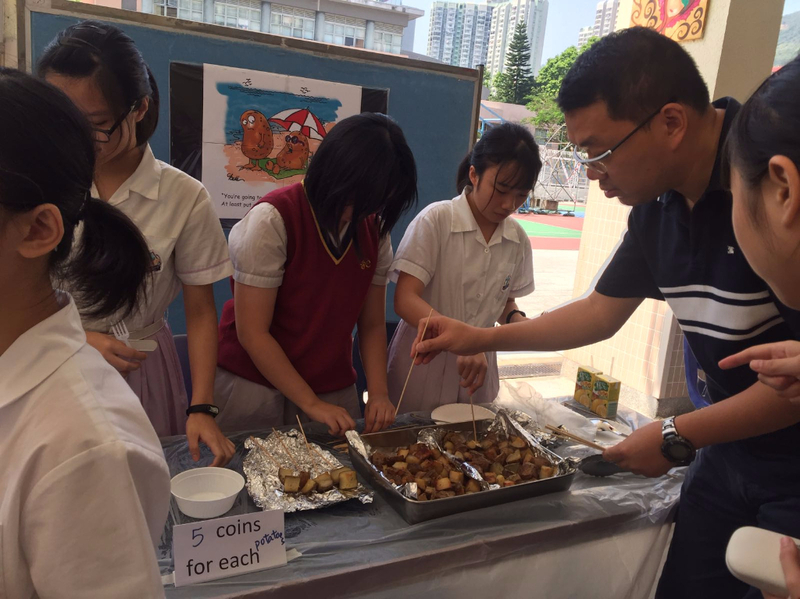 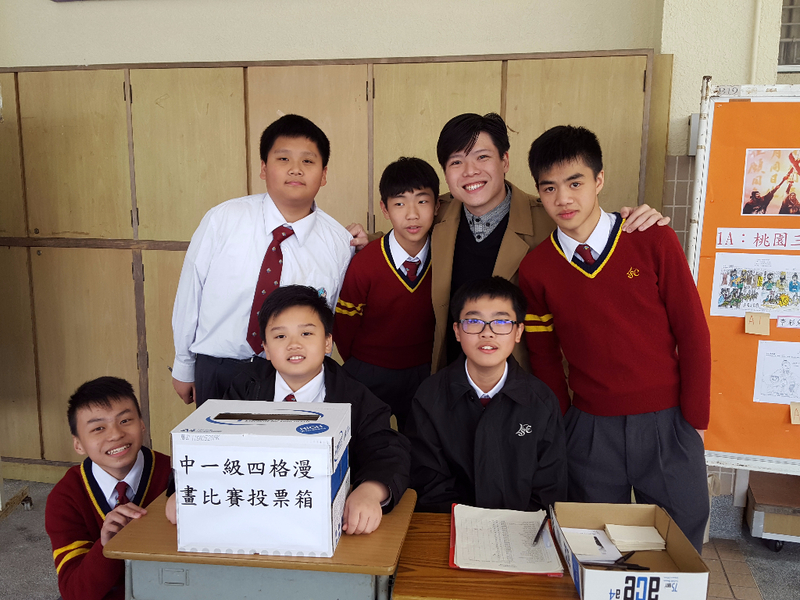 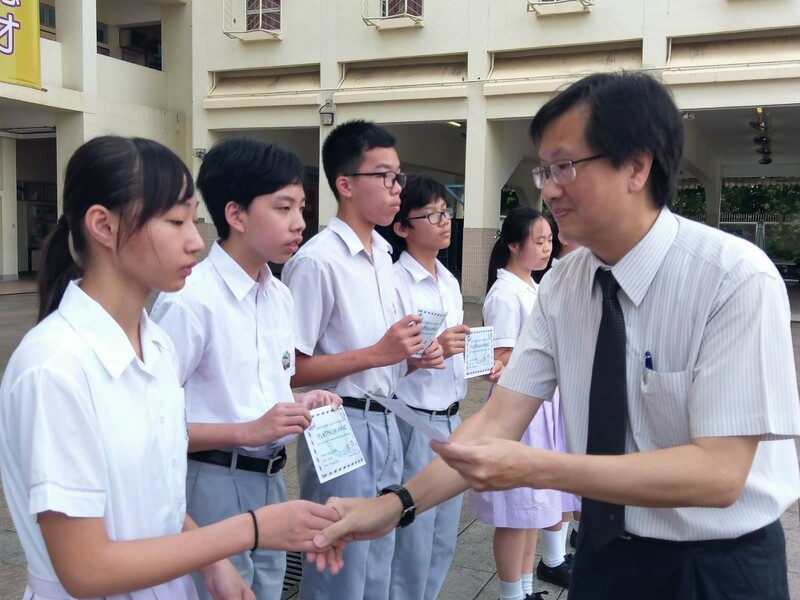 Students spoke in English and played games in exchange for coins. 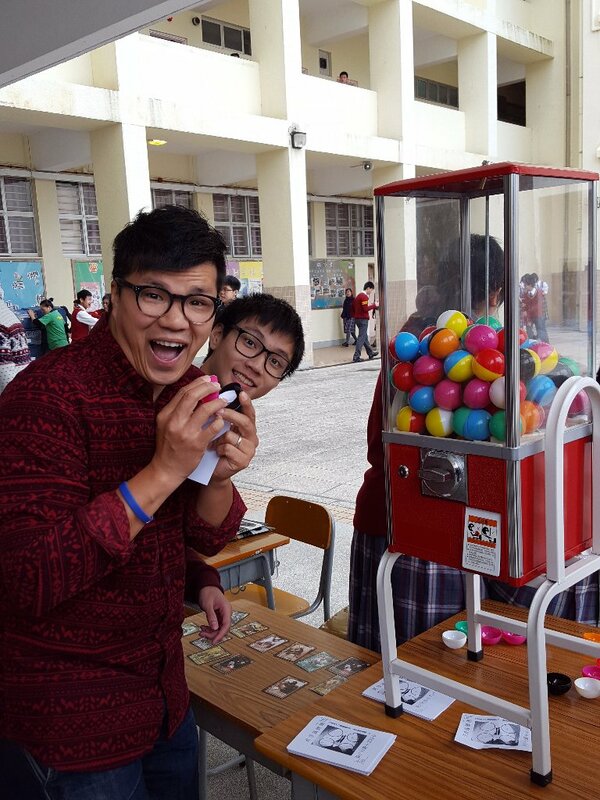 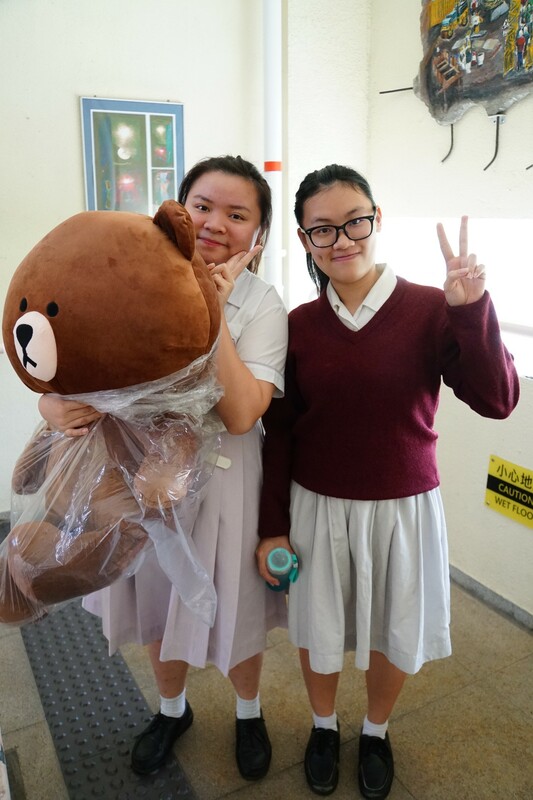 They then spent their hard earned coins at our English Café, at our prize counter or to dedicate songs to friends. 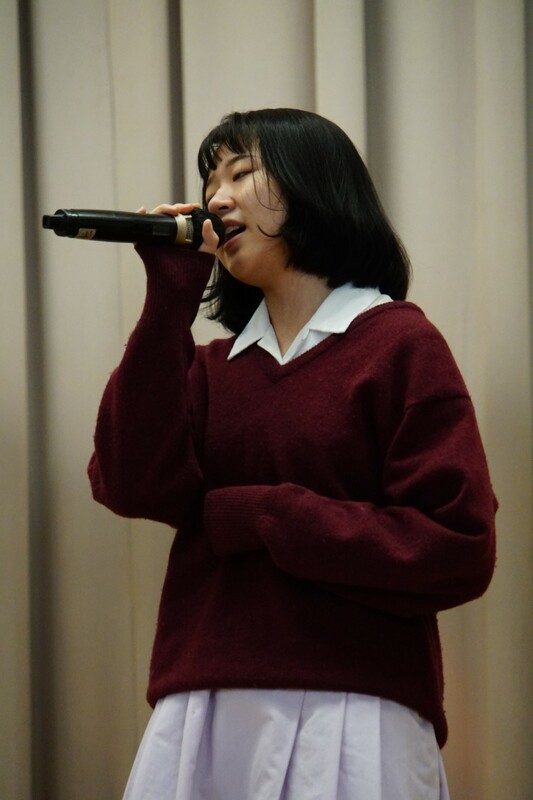 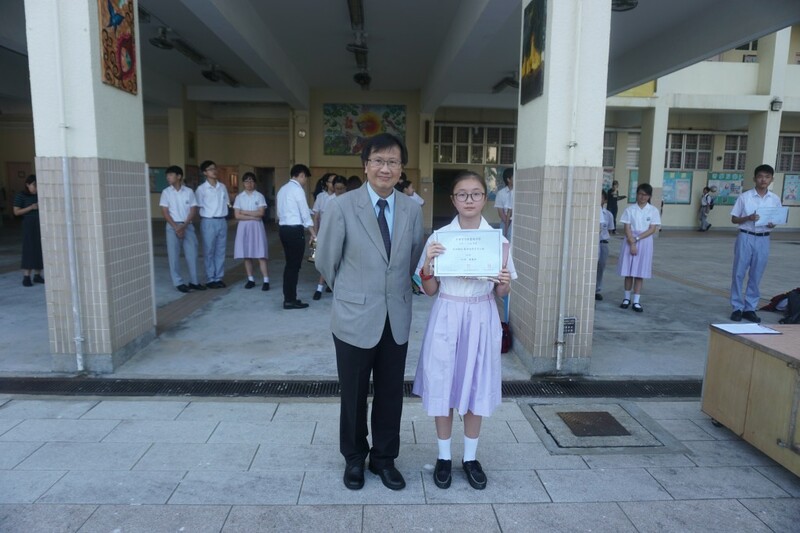 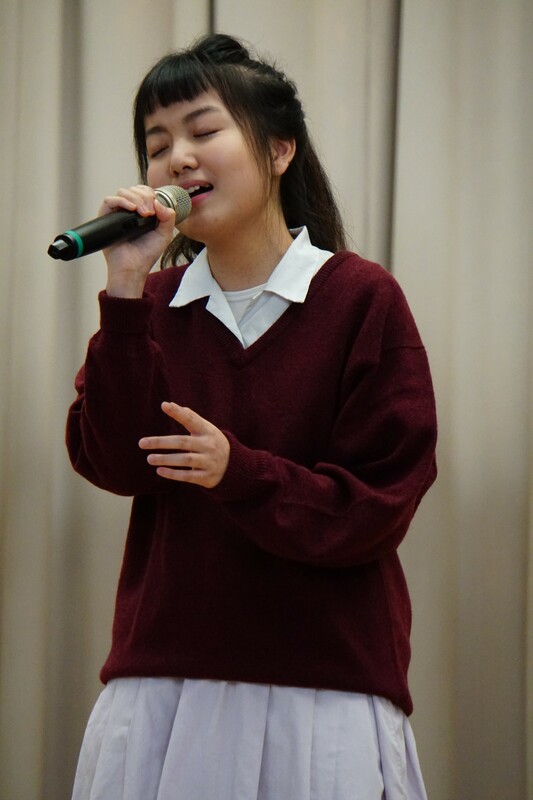 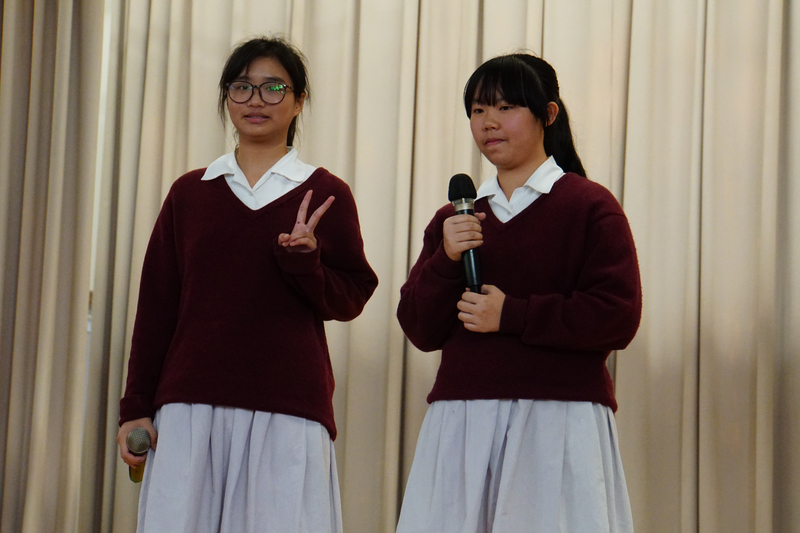 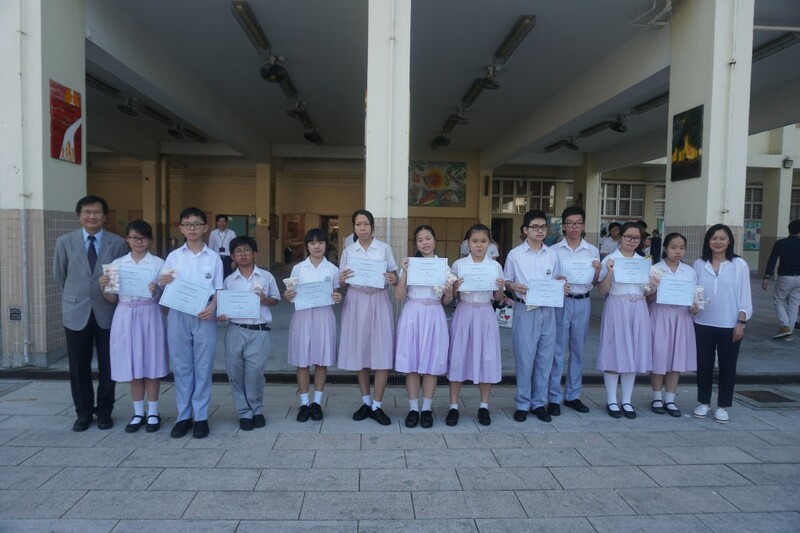 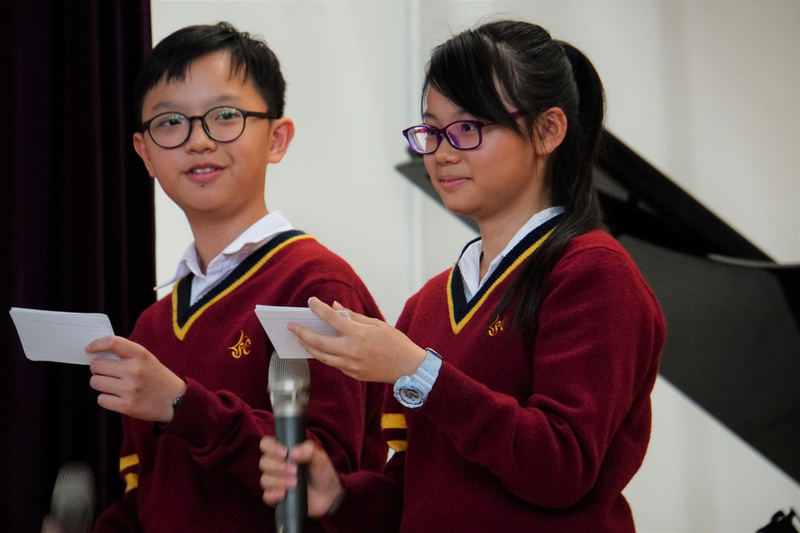 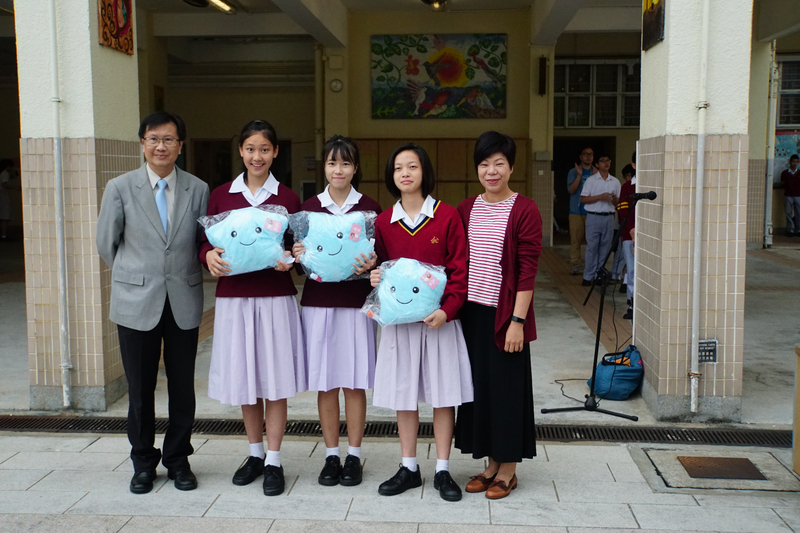 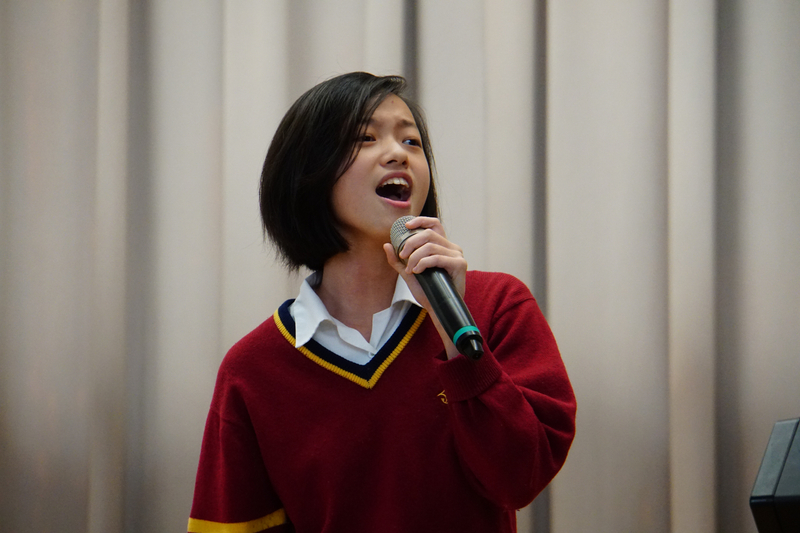 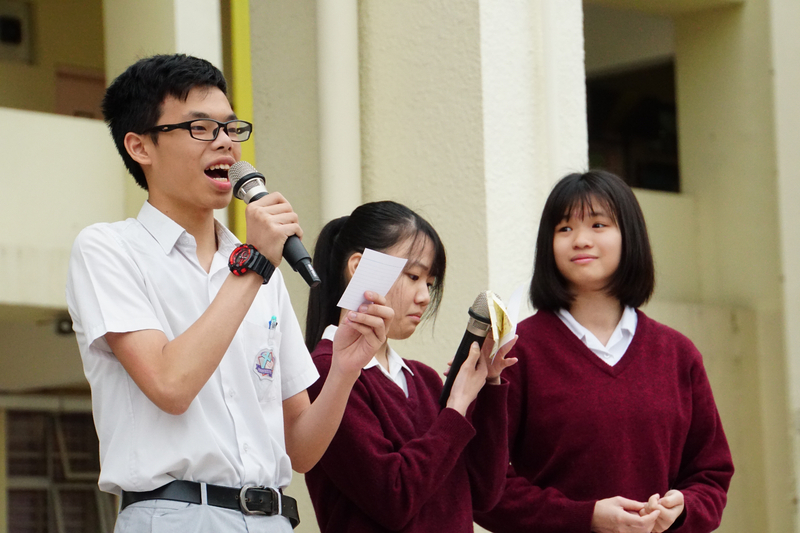 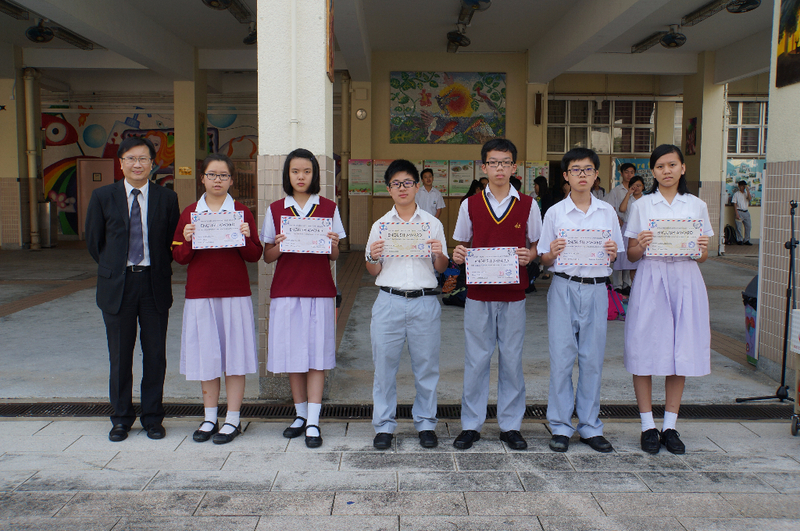 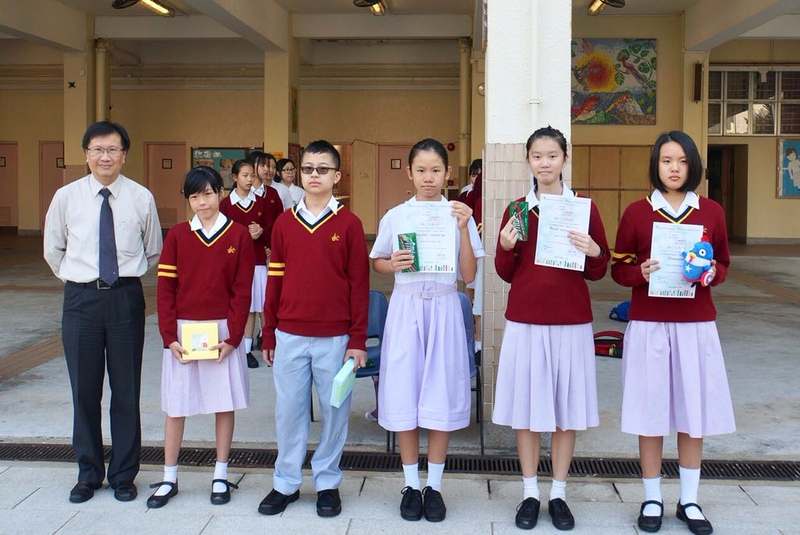 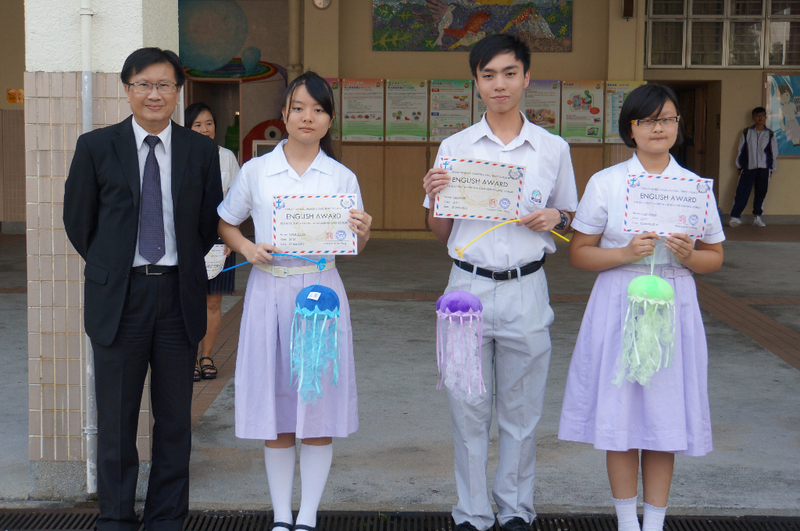 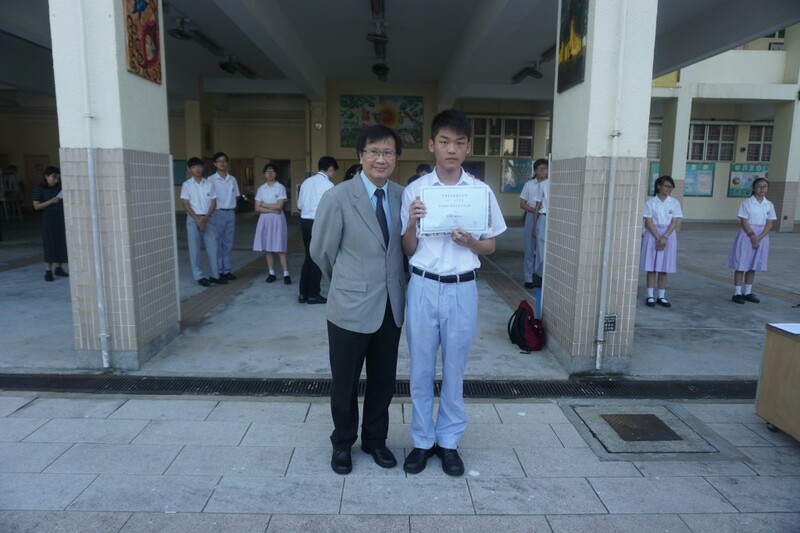 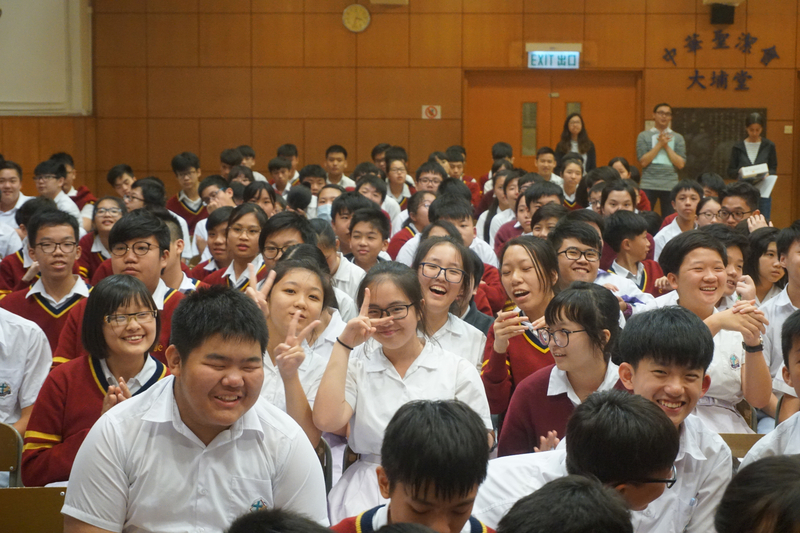 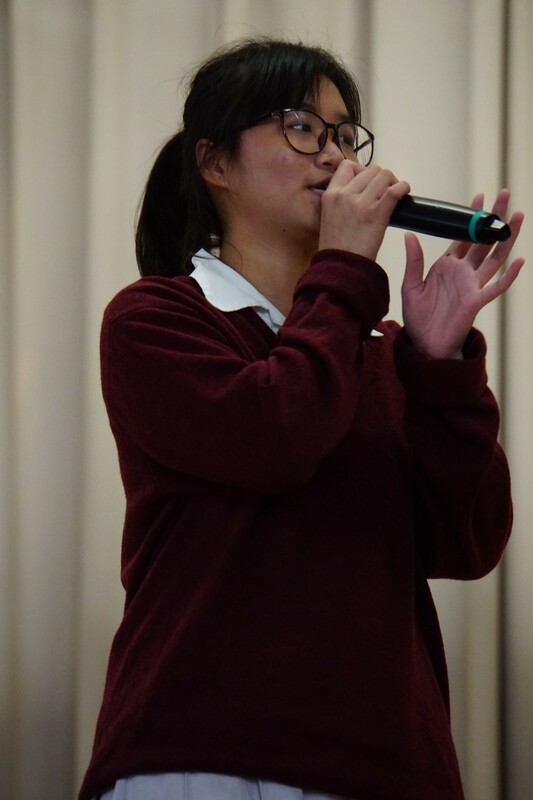 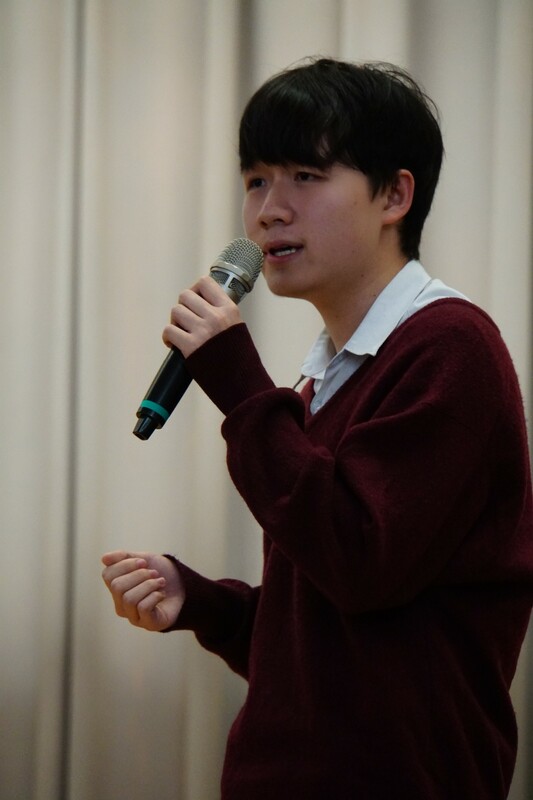 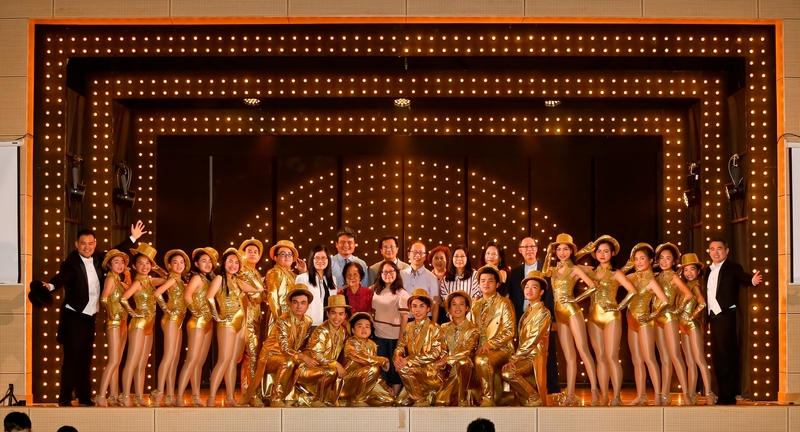 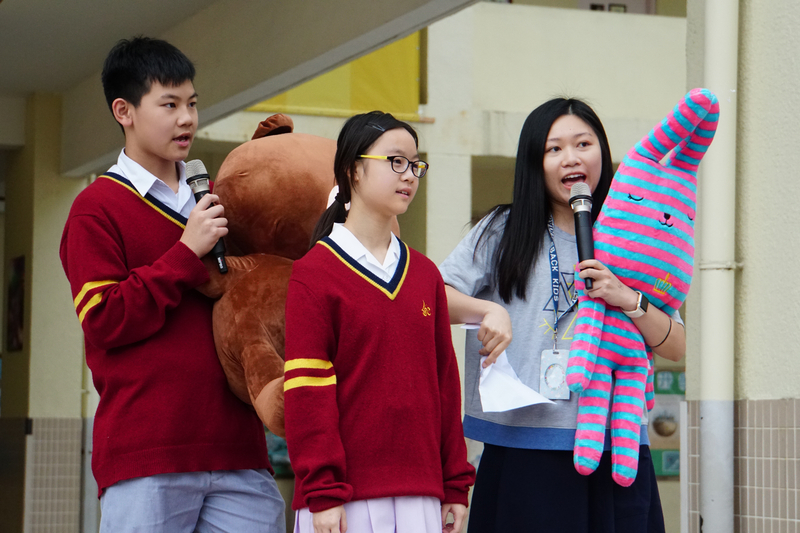 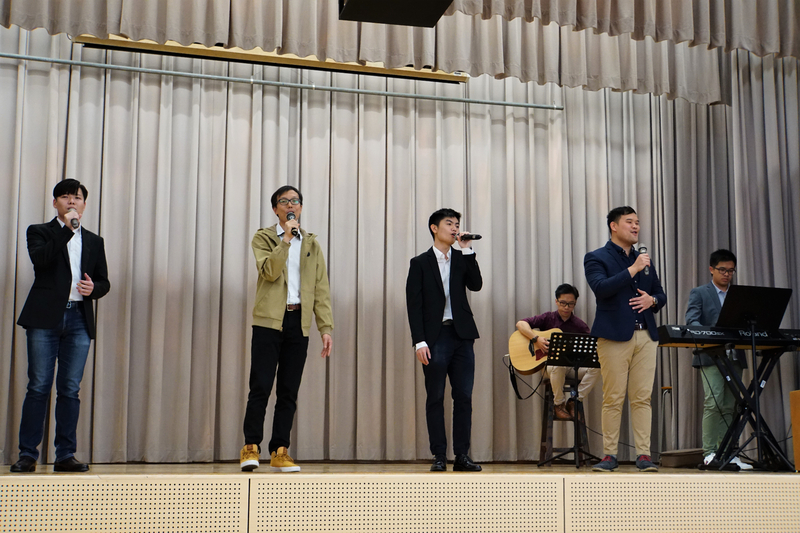 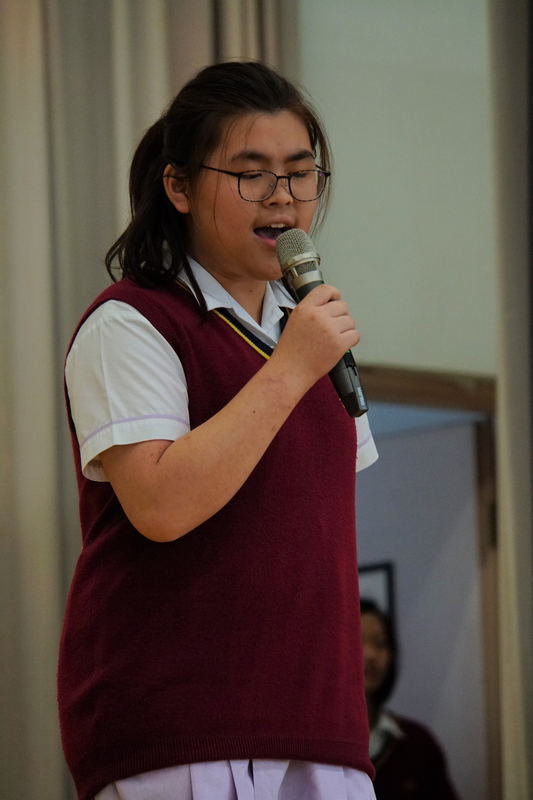 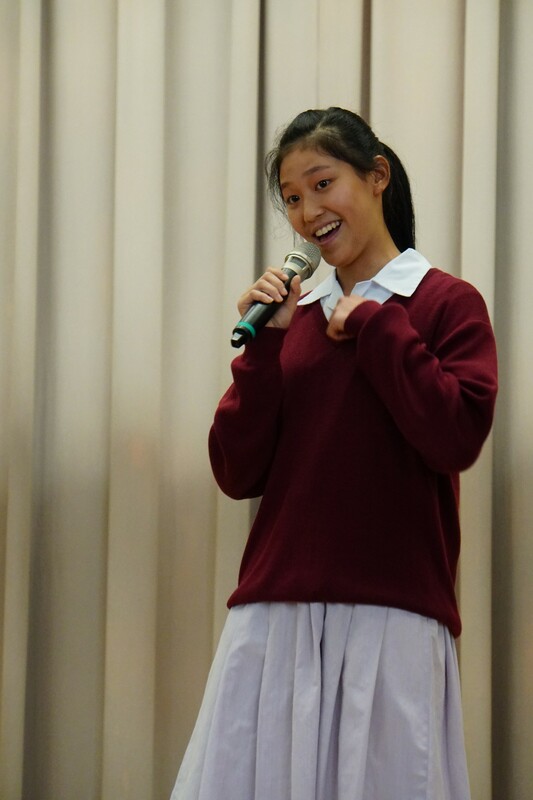 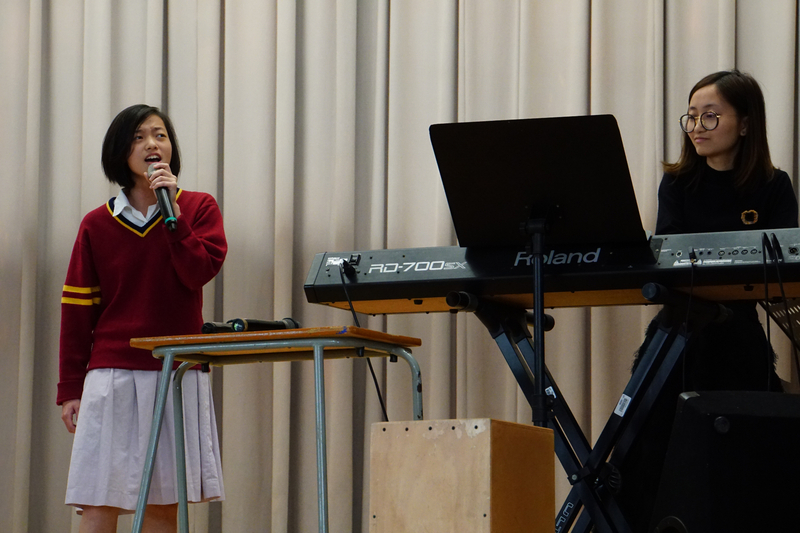 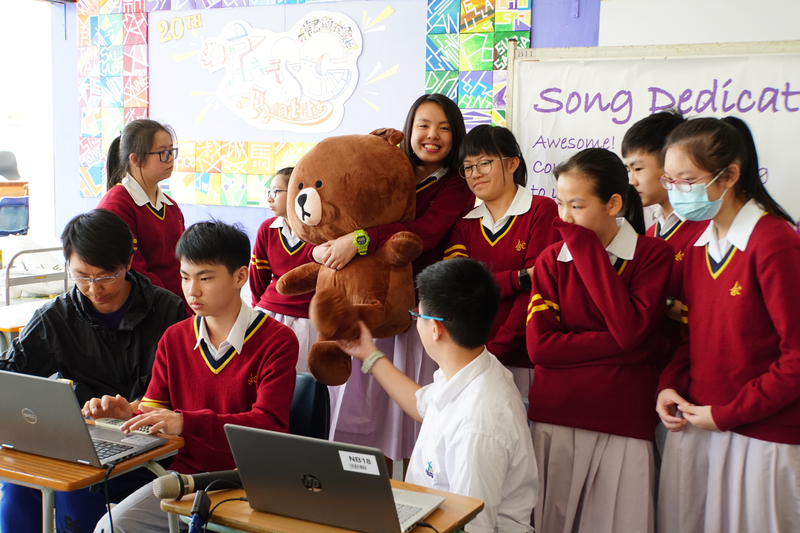 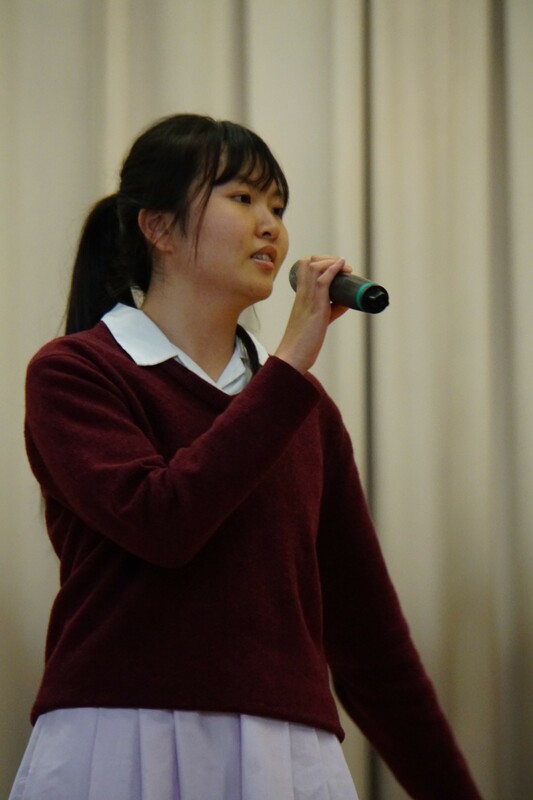 In the afternoons, we also held our English singing Competition where student singers had to compete over two days. 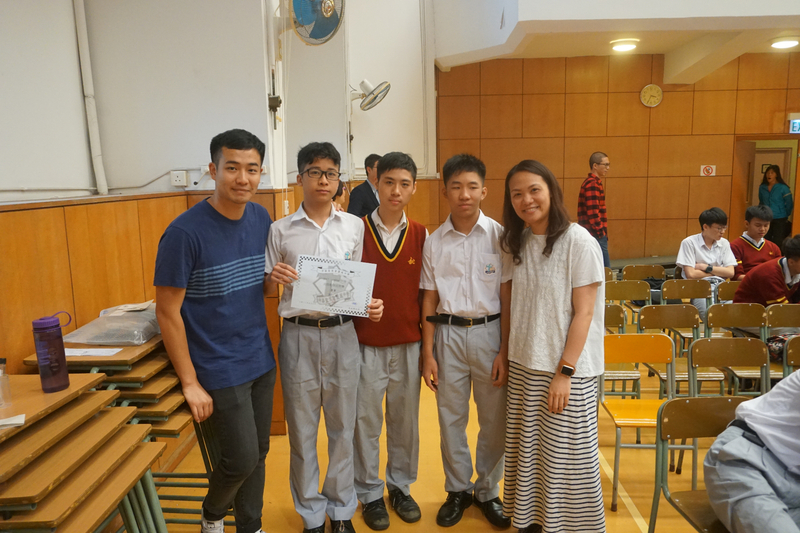 We had a fantastic time speaking and playing in English and we look forward to our next English activities. 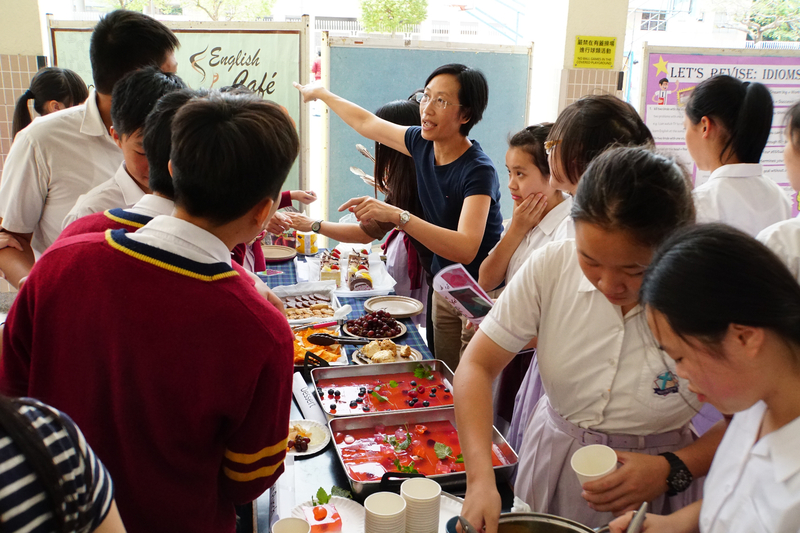 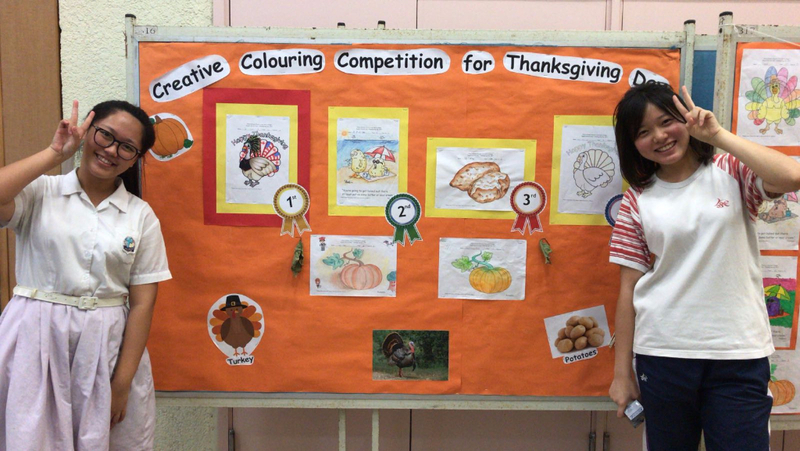 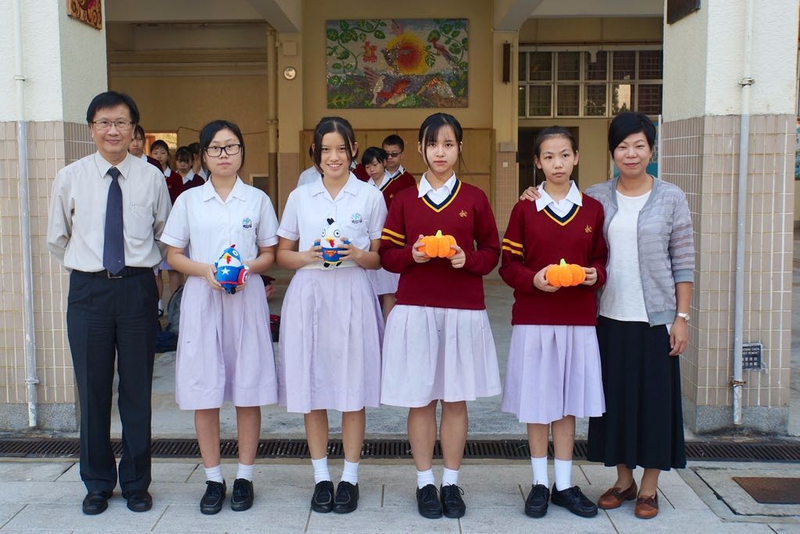 We had our first English Speaking Day by celebrating Thanksgiving on Thursday 26th October. 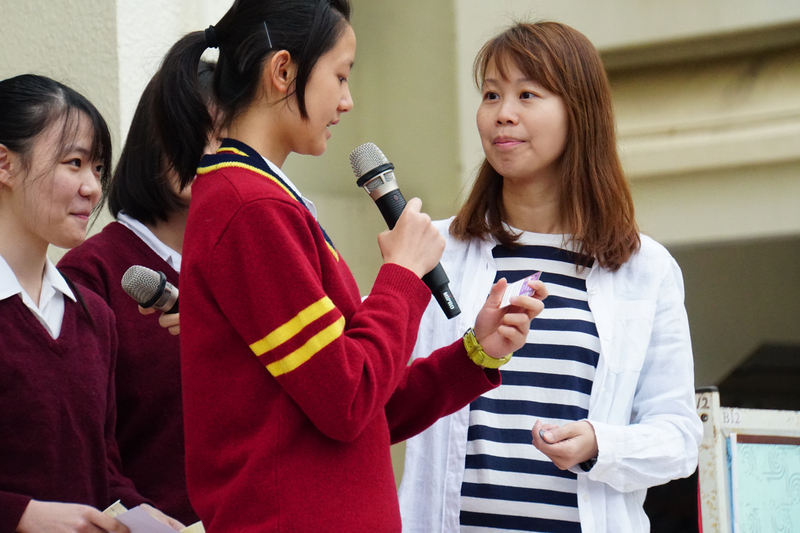 Students spent the whole week earning play money by speaking to teachers in English. 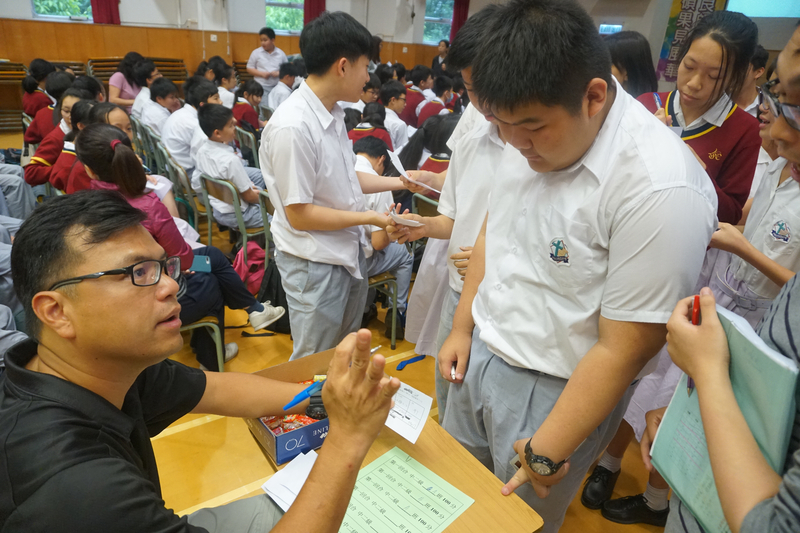 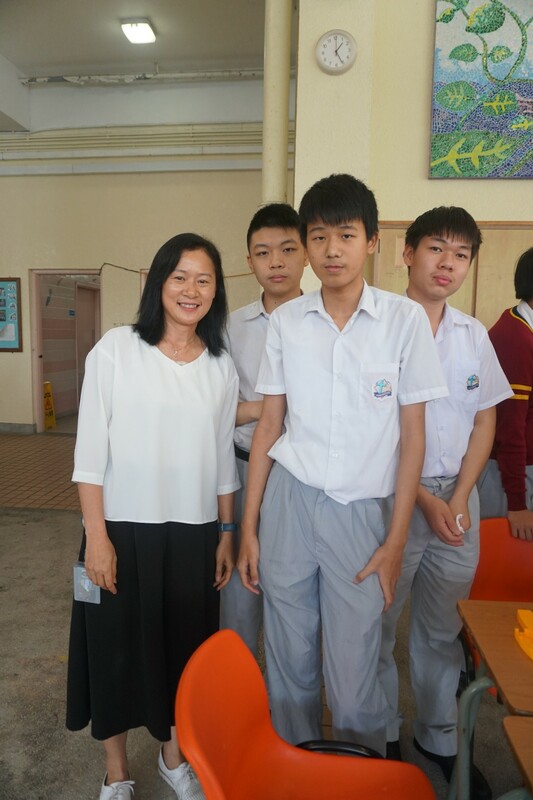 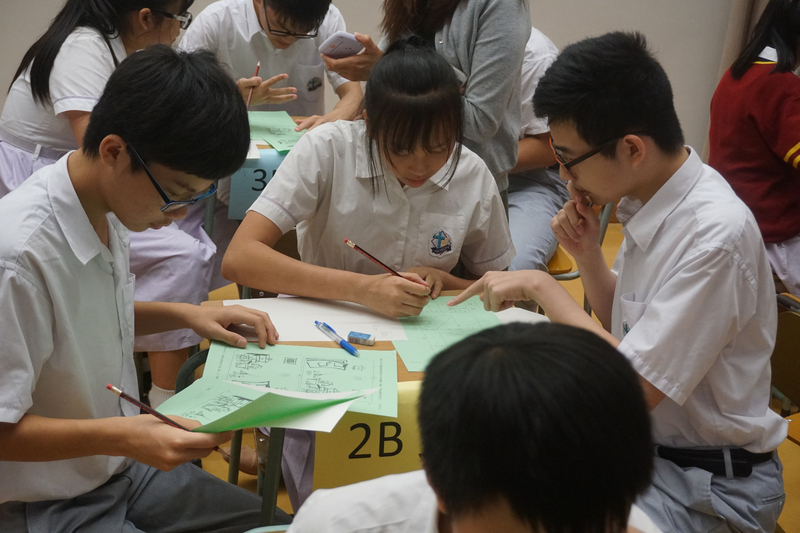 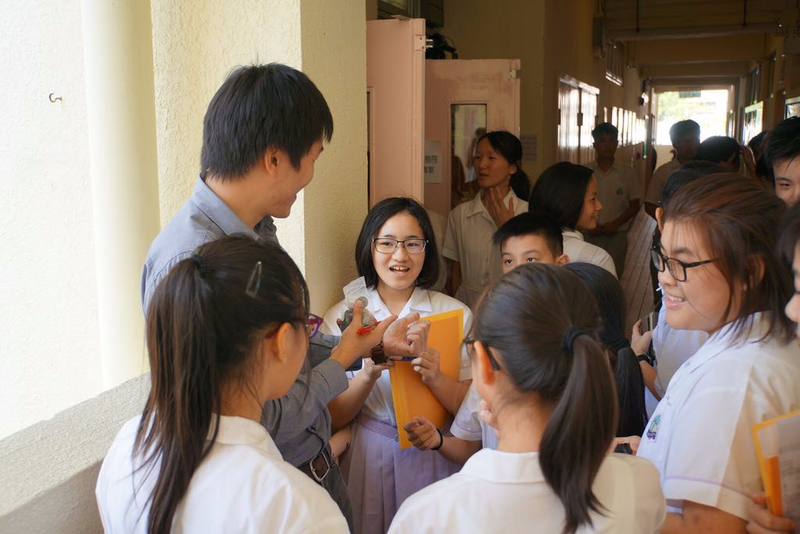 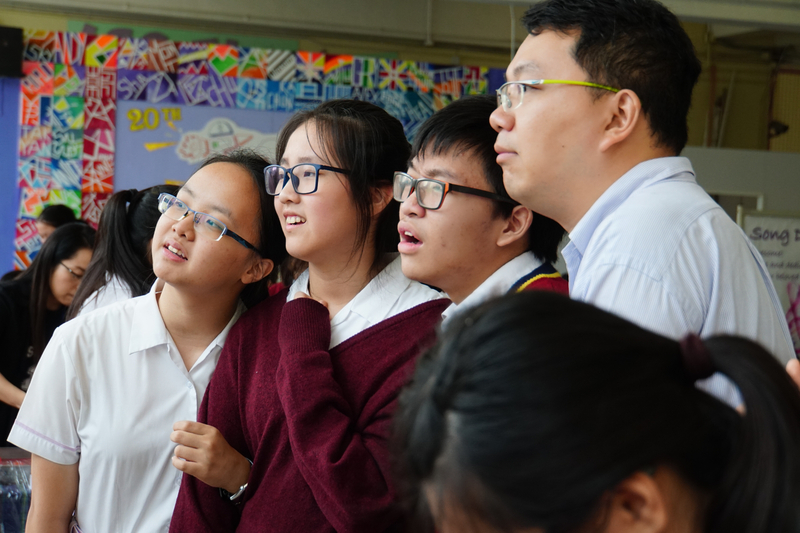 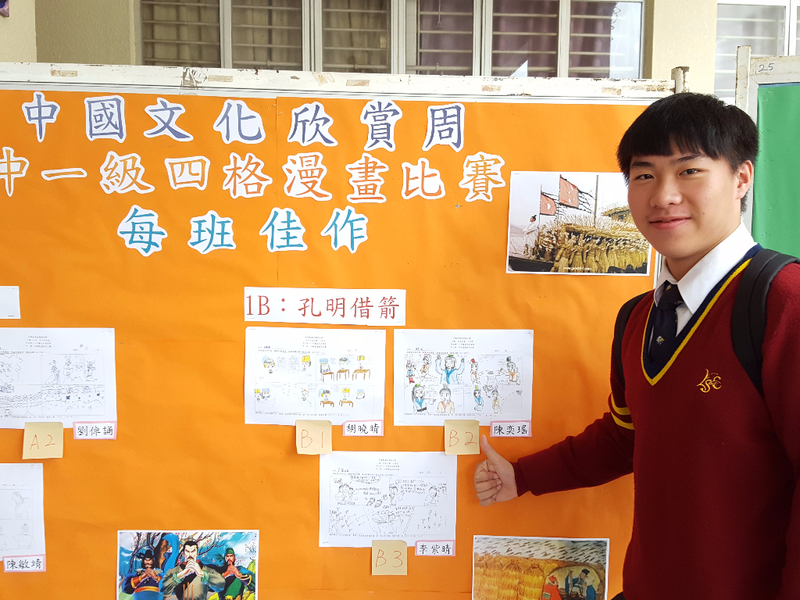 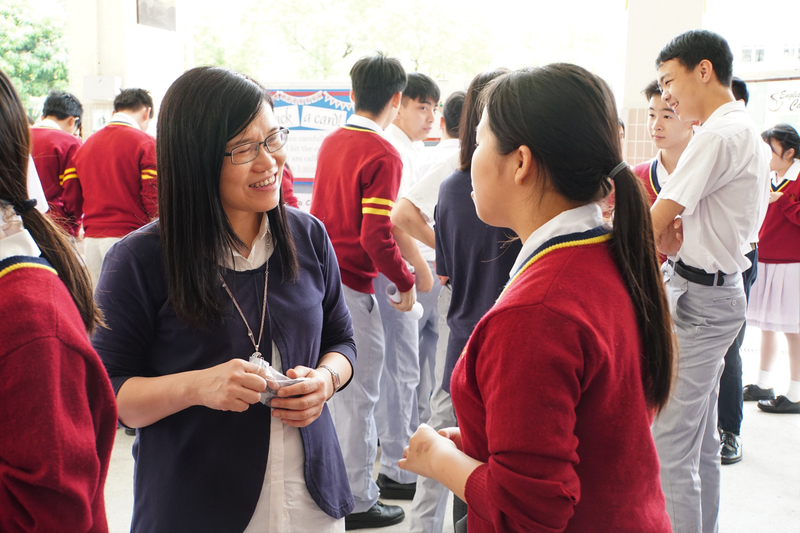 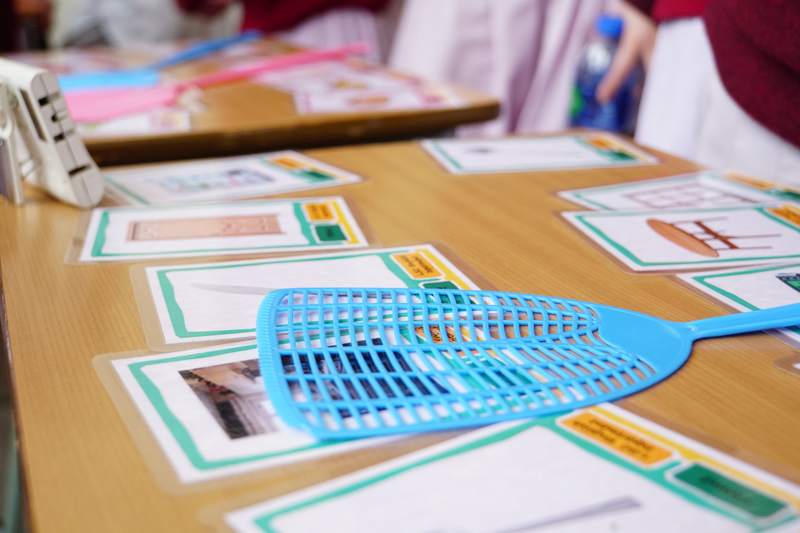 Students worked hard to practise their English skills and so too did many non-English teachers. 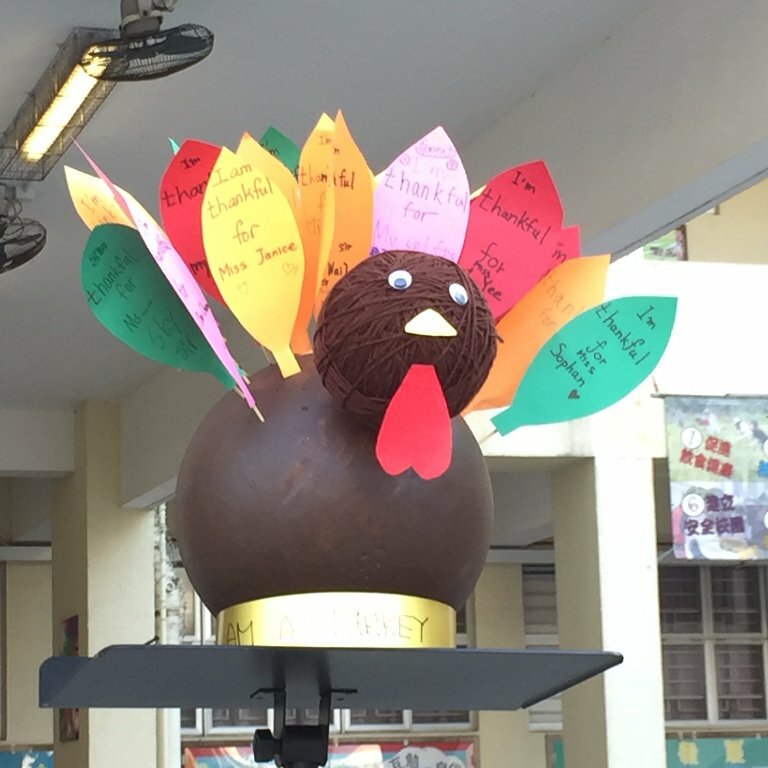 We finished with a big Thanksgiving Food Fair at lunch time. 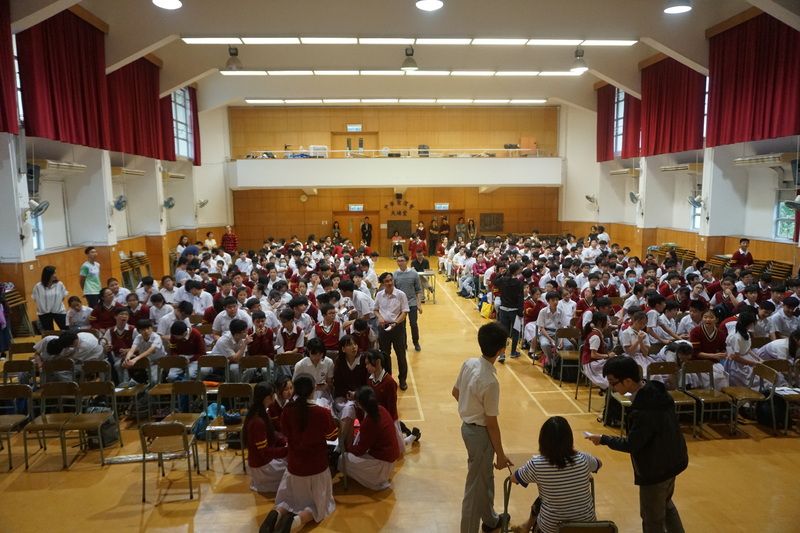 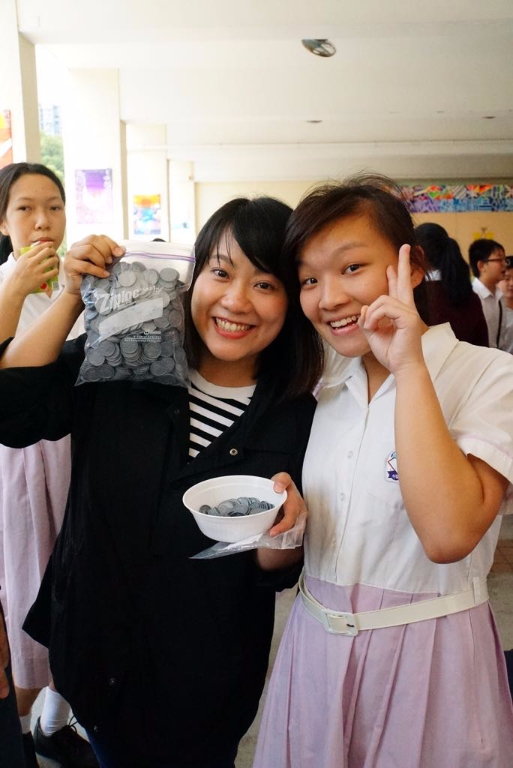 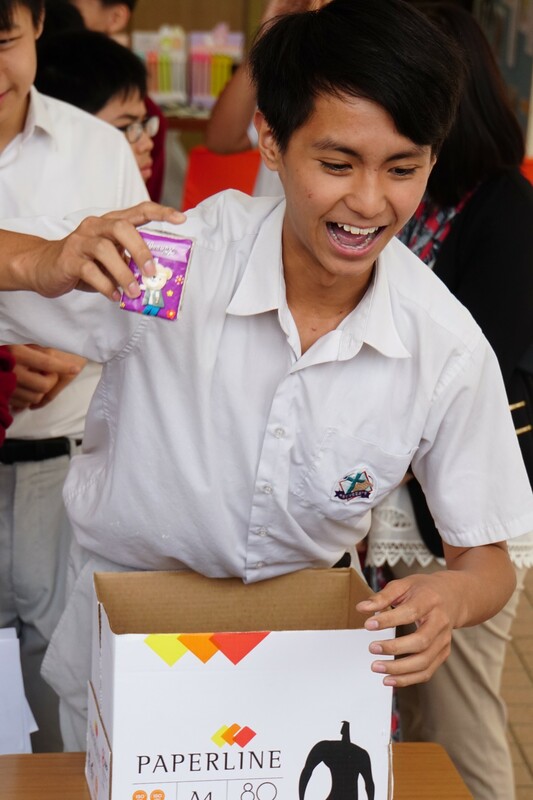 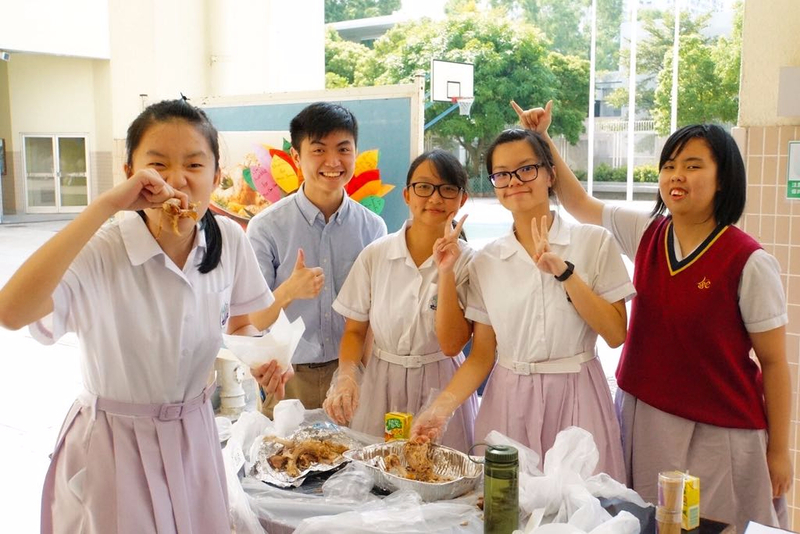 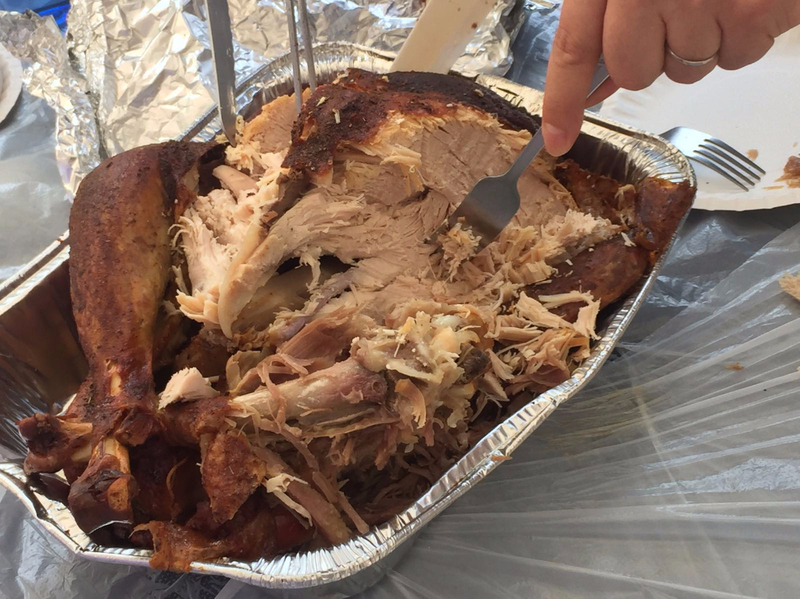 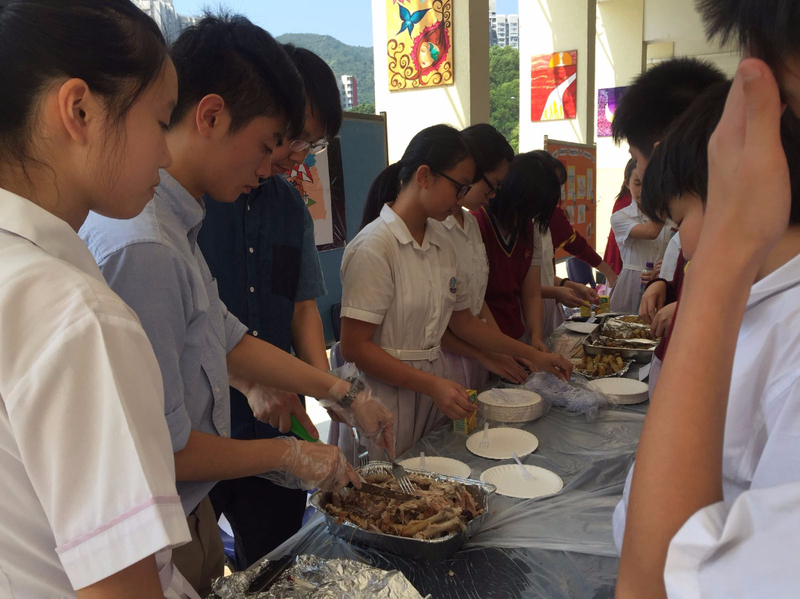 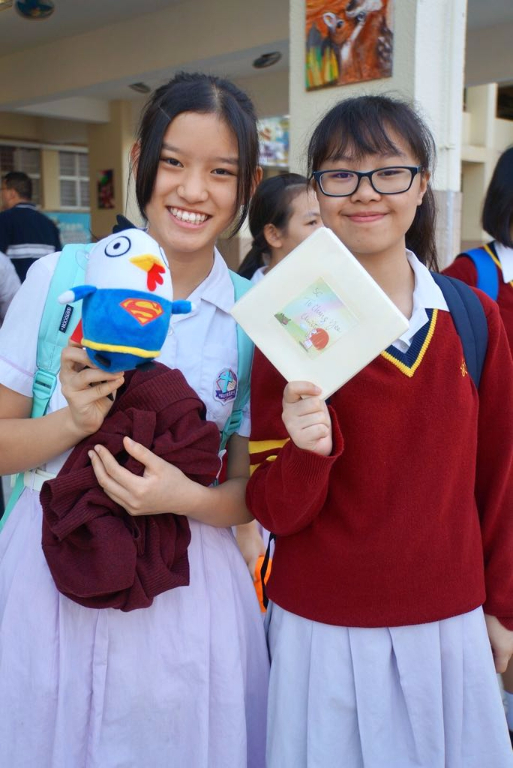 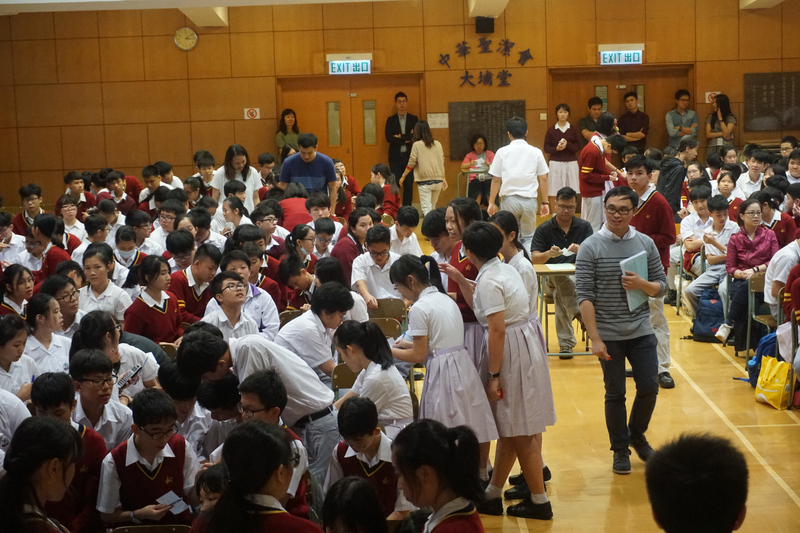 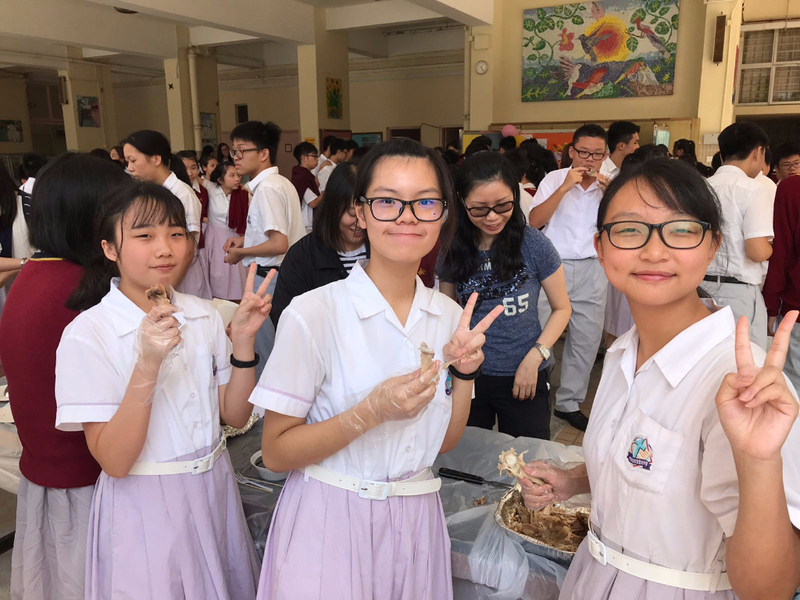 Hundreds of students exchanged their coins for turkey, roast potatoes and other thanksgiving foods and gifts. 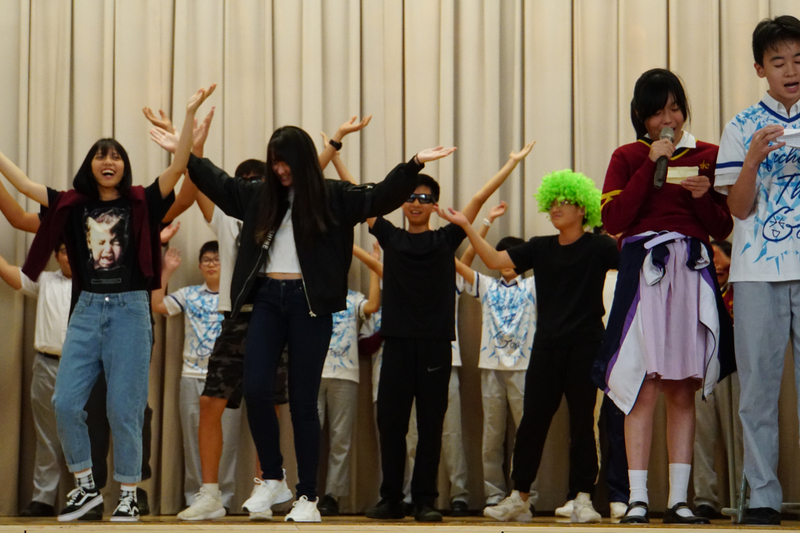 We had a fantastic time and hope you look forward to our next English Activity Day.